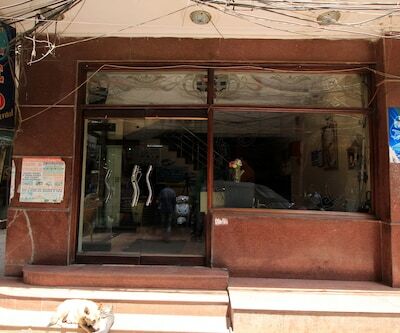 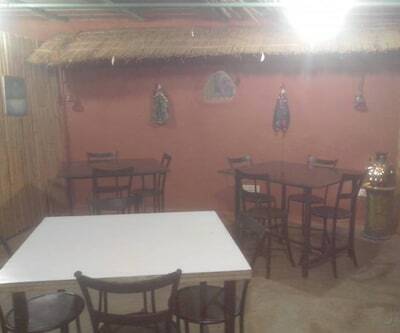 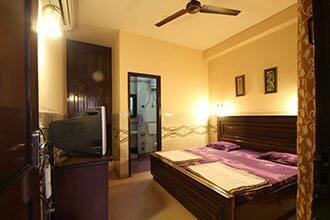 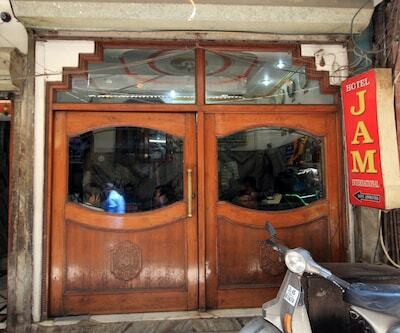 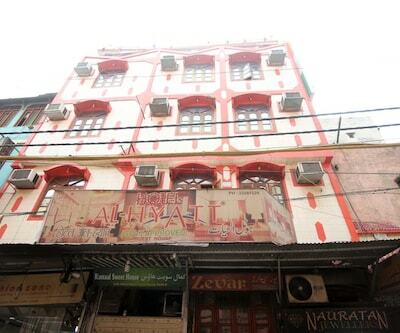 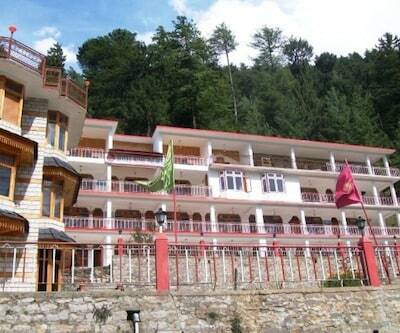 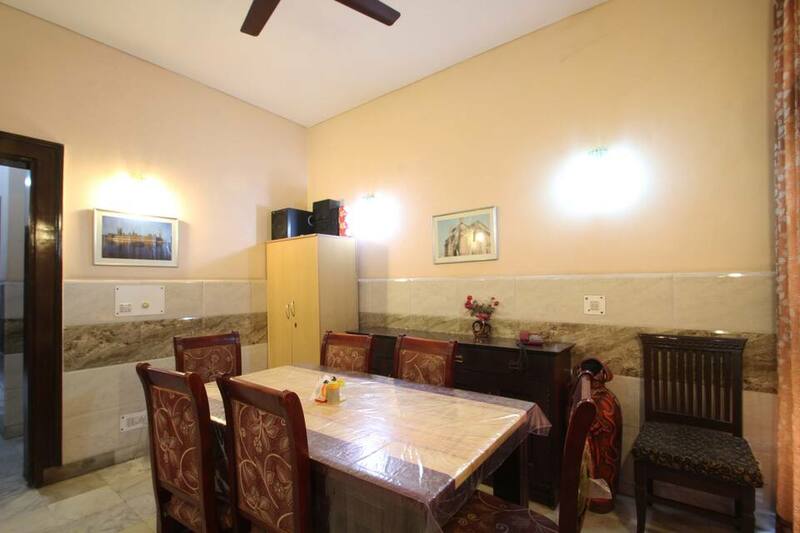 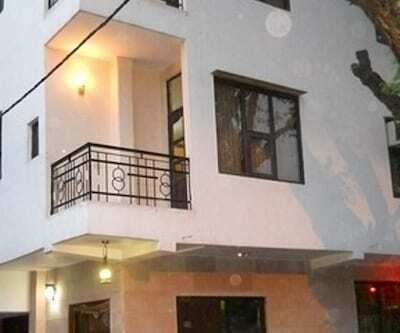 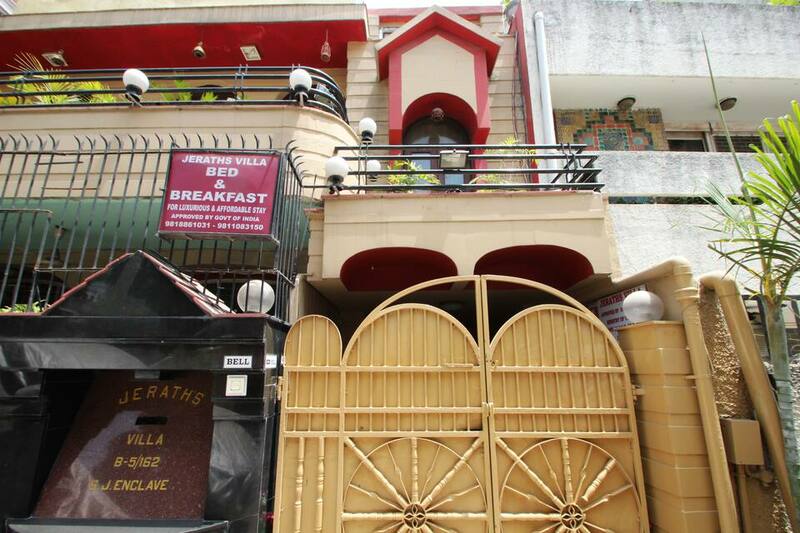 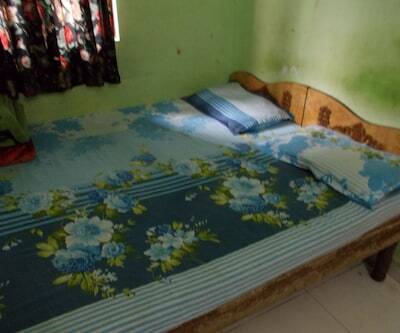 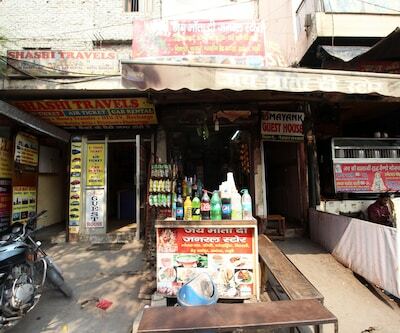 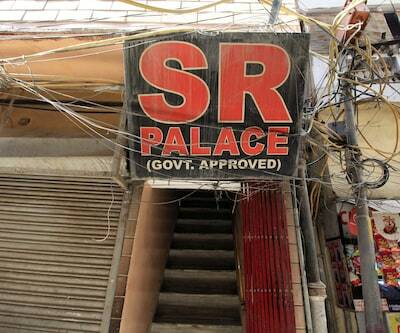 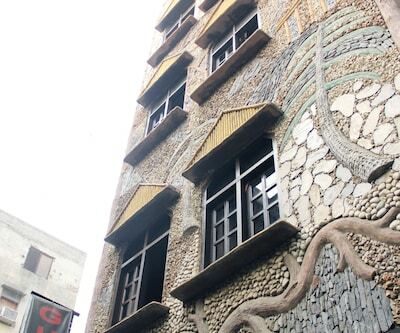 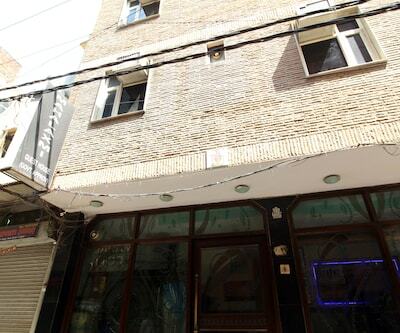 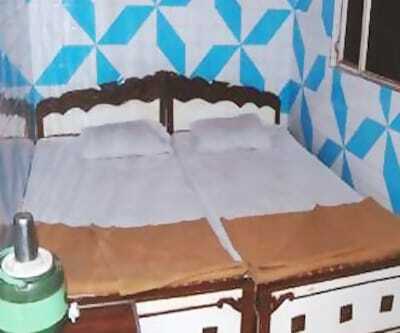 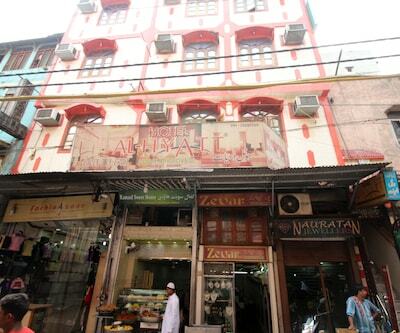 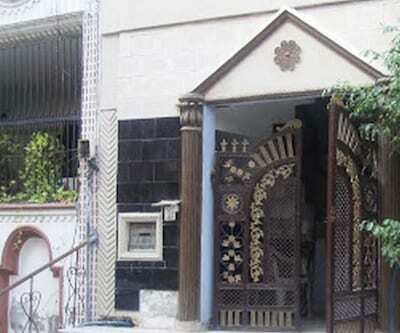 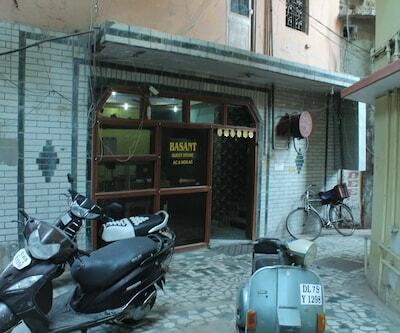 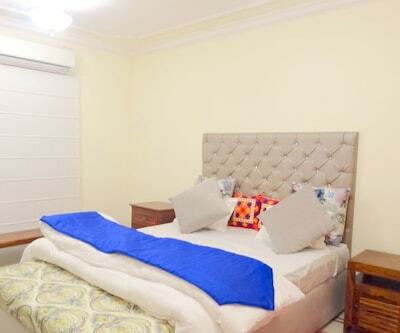 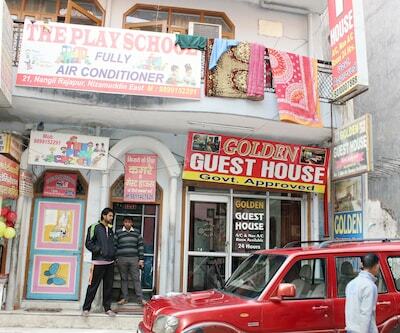 Located at 1 km from the Bhikaji Cama Place, Jeraths Villa operates a multi-cuisine restaurant. 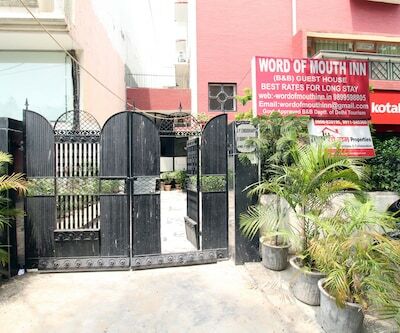 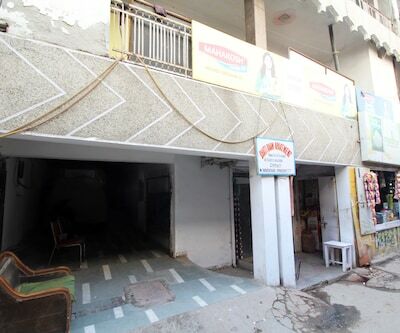 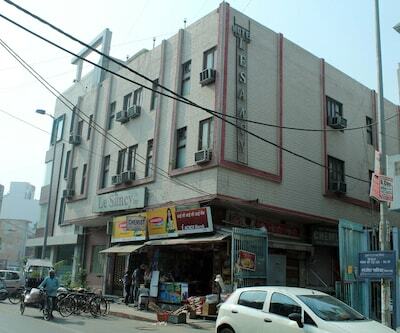 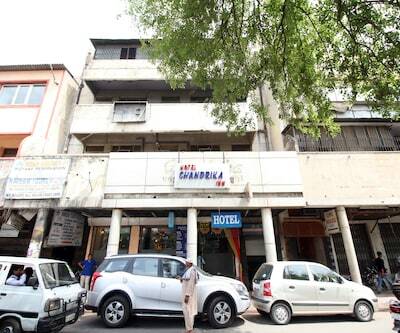 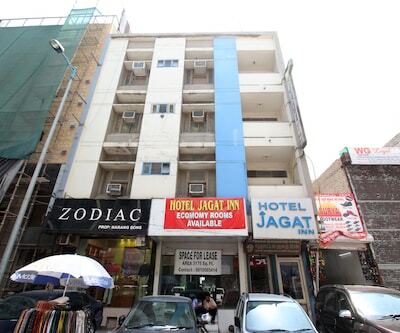 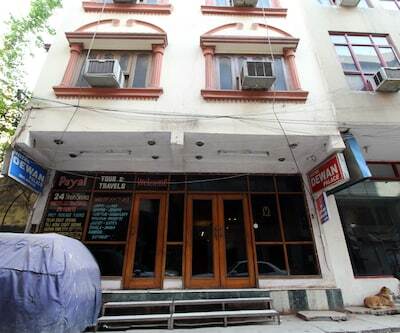 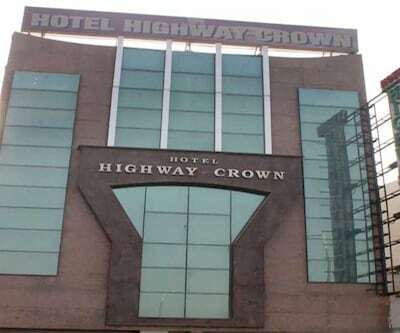 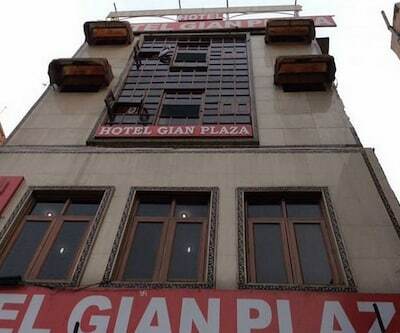 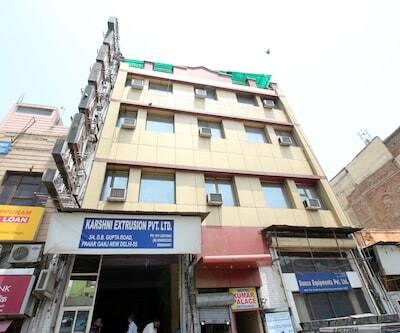 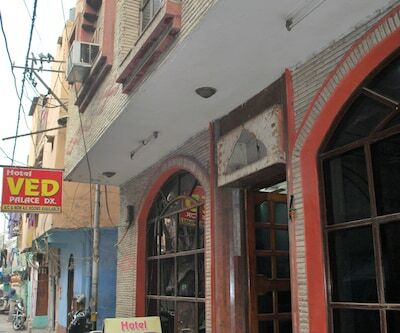 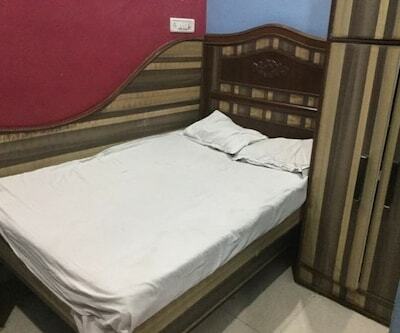 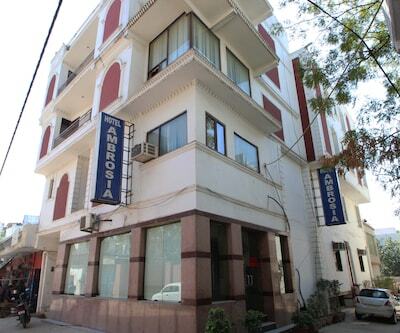 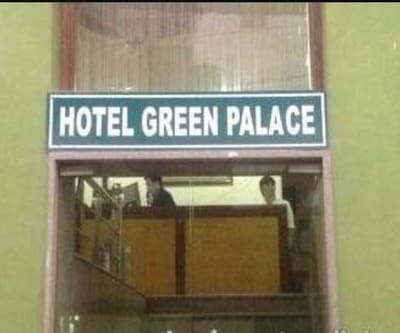 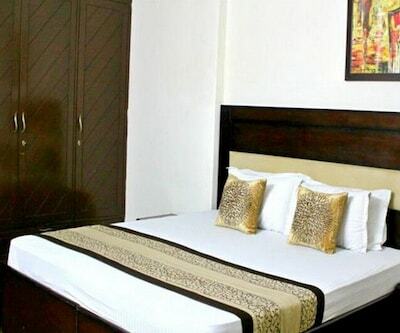 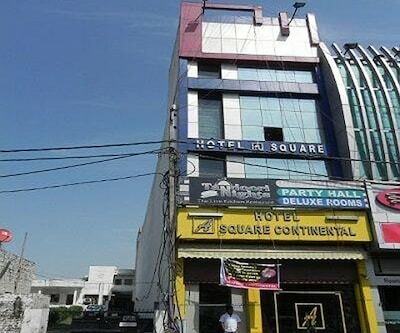 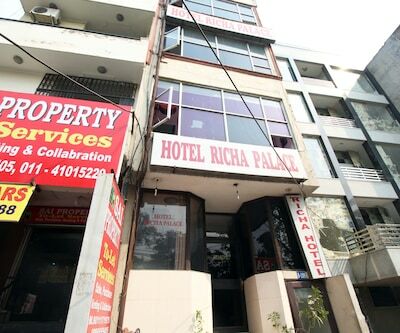 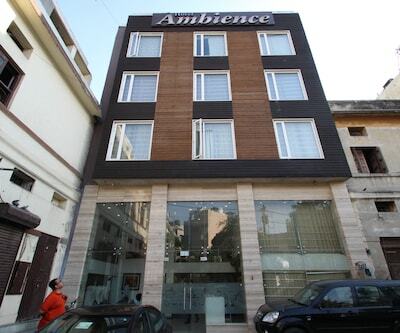 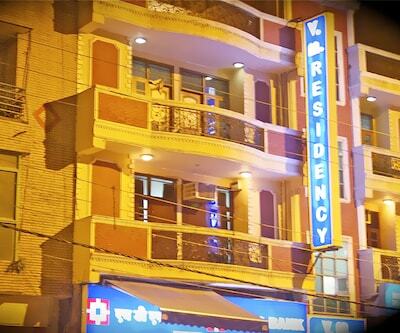 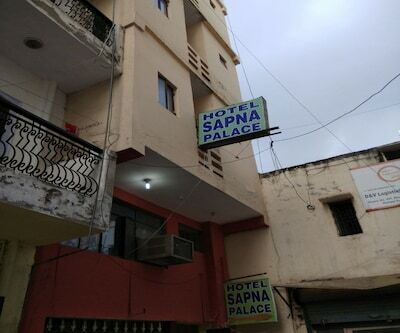 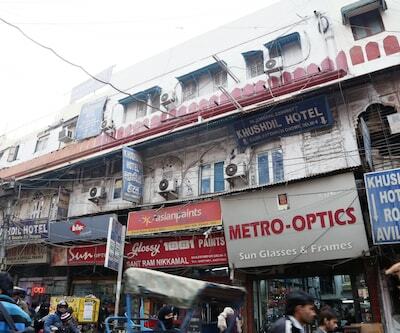 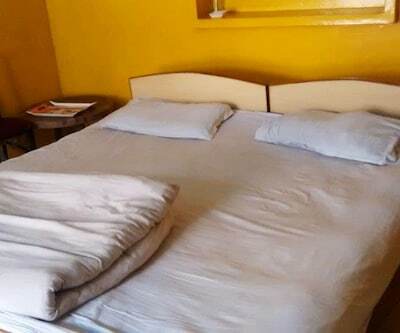 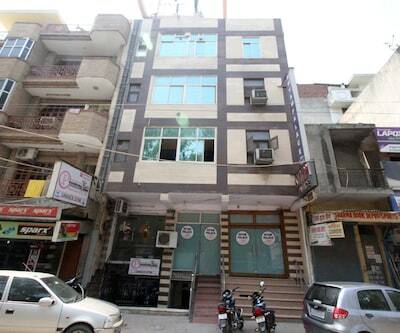 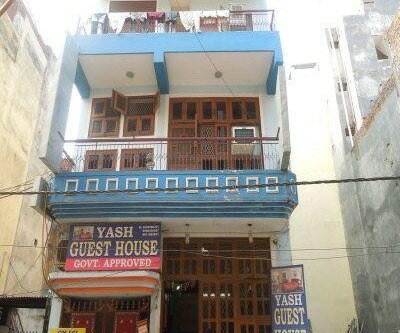 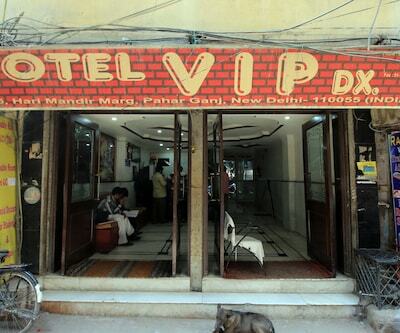 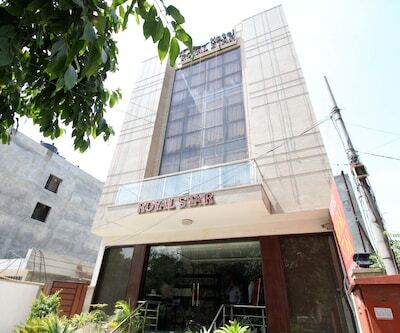 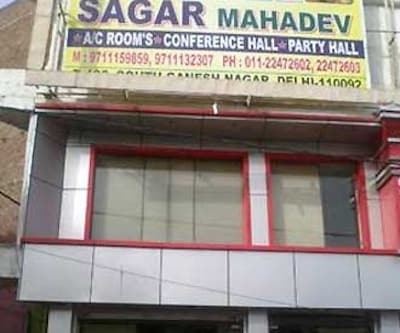 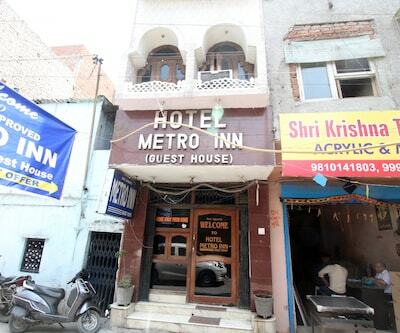 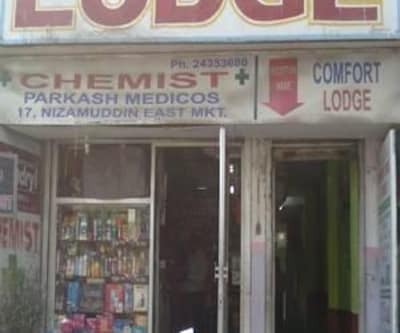 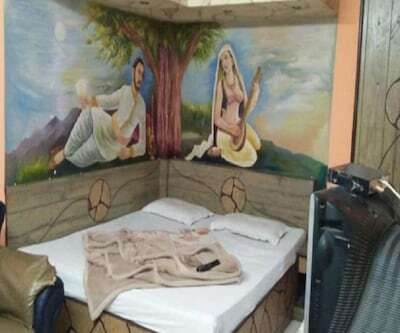 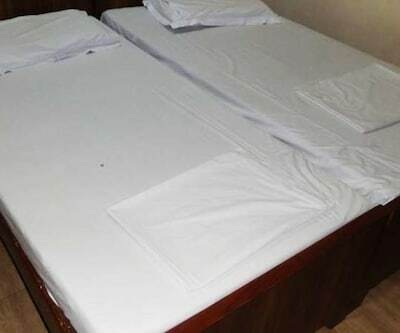 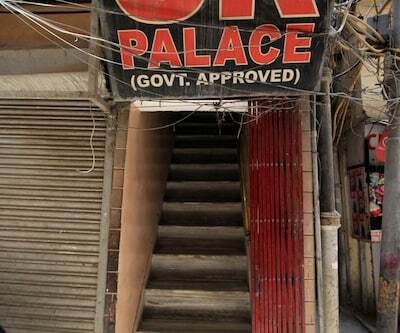 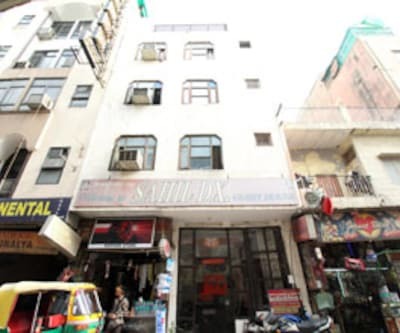 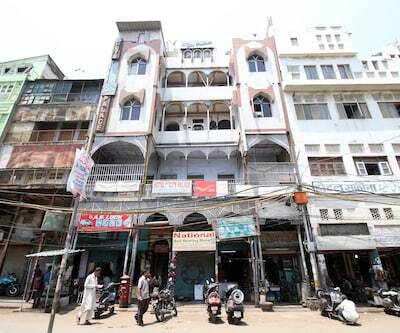 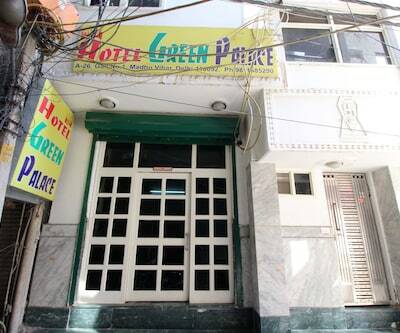 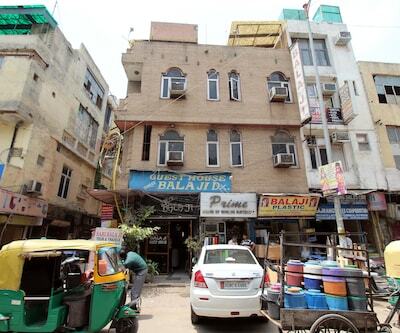 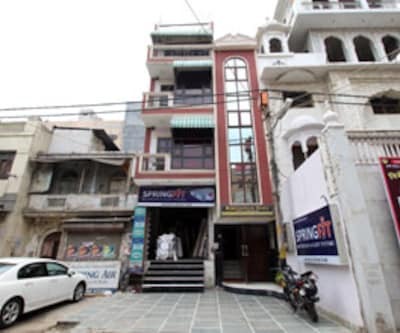 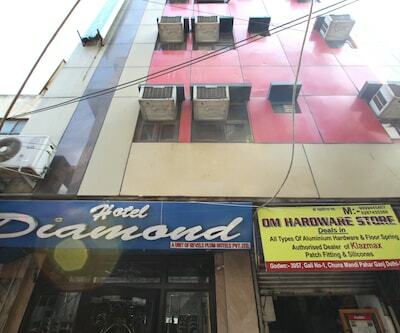 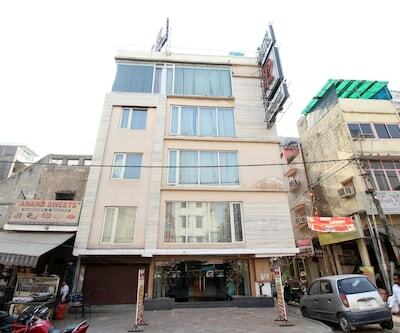 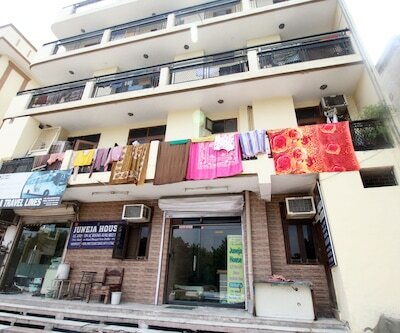 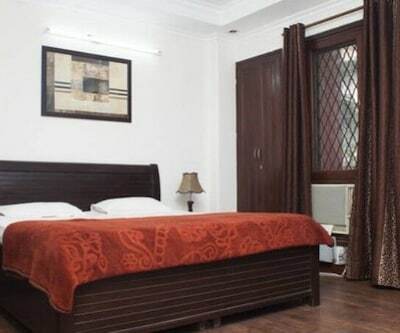 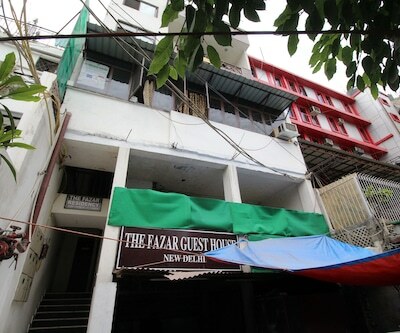 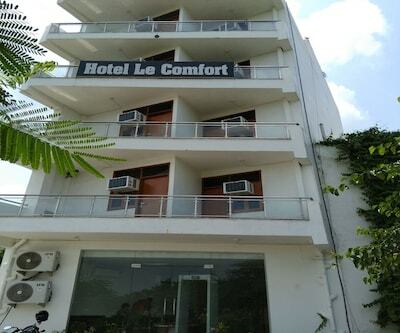 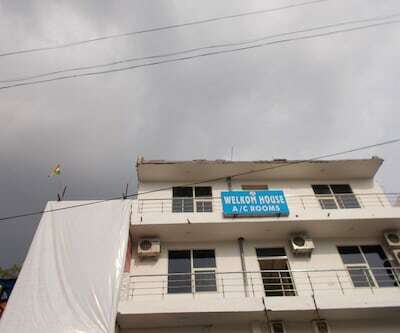 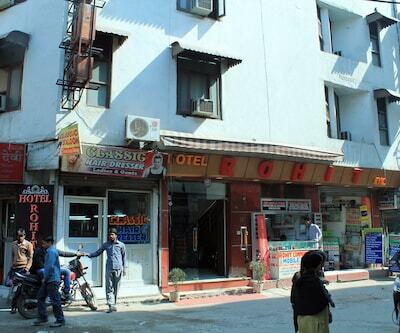 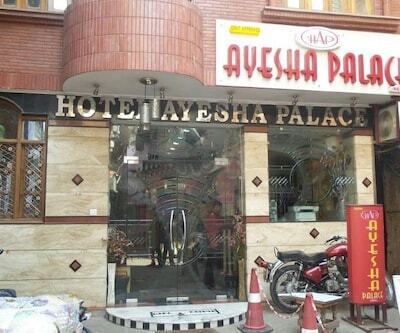 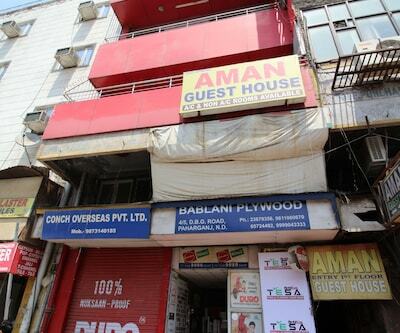 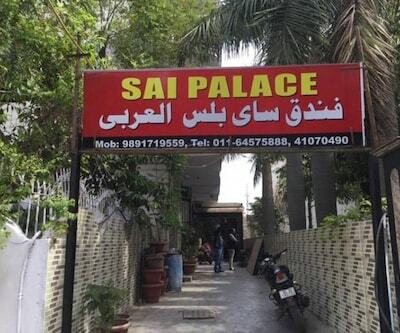 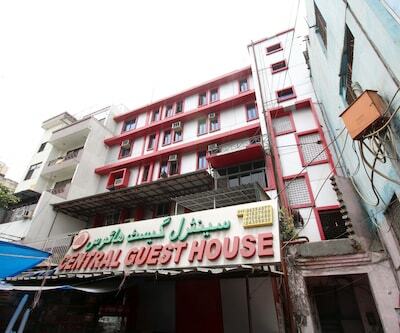 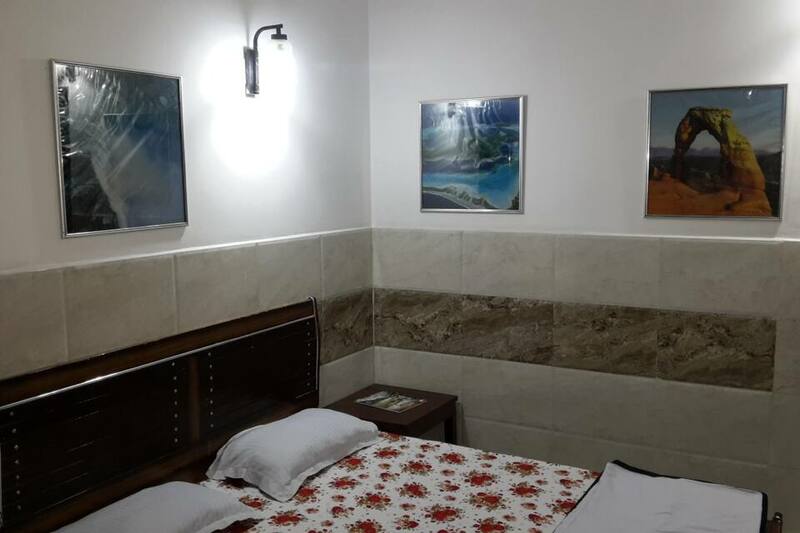 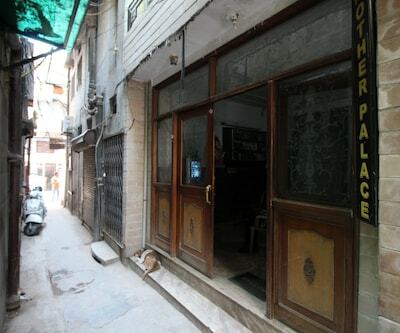 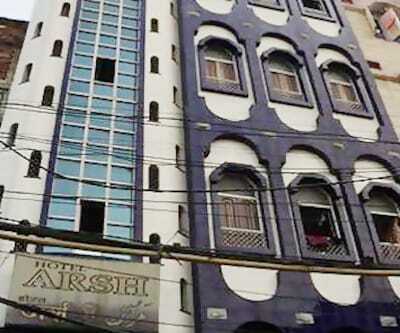 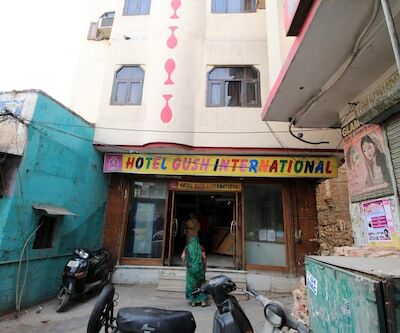 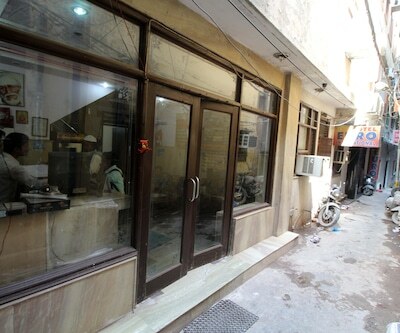 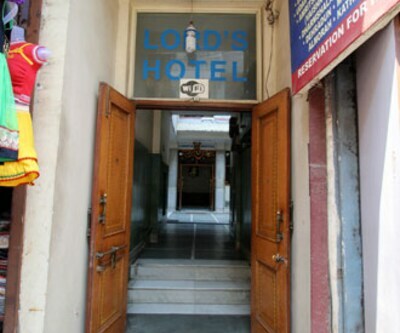 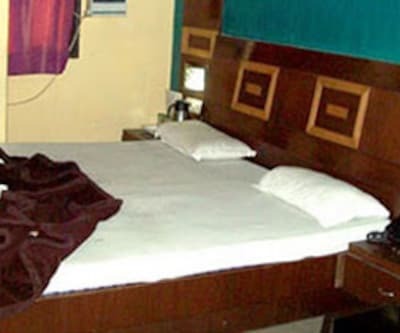 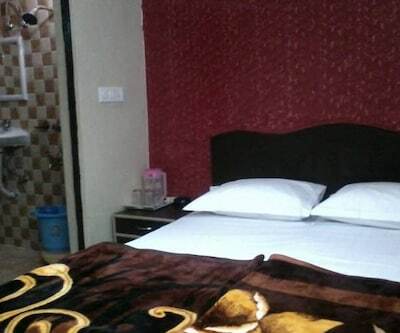 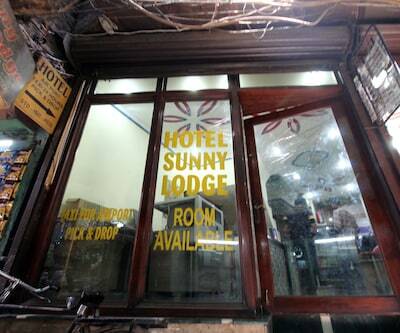 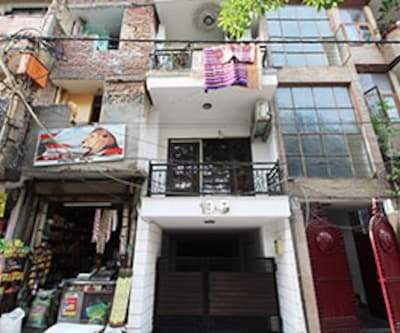 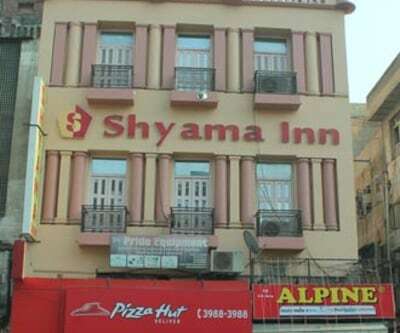 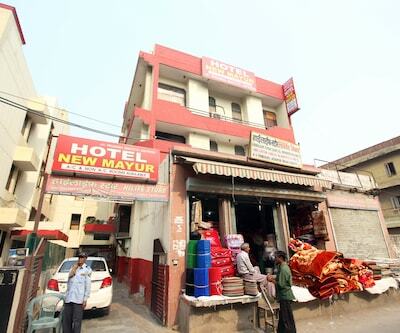 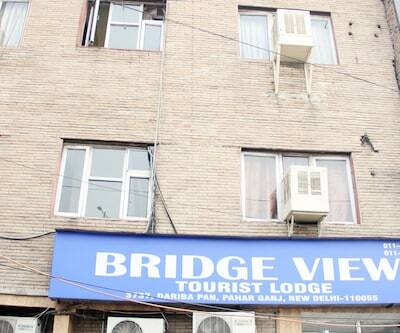 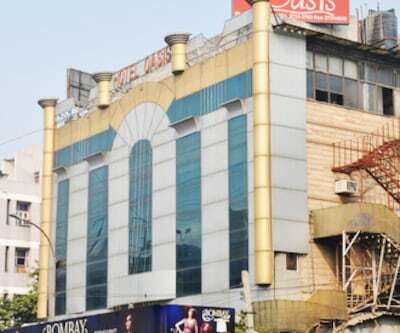 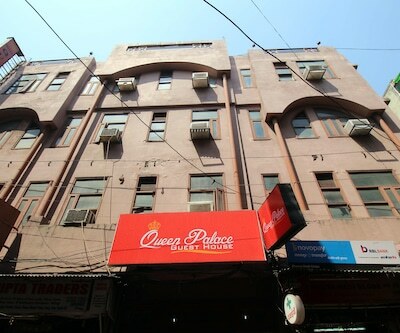 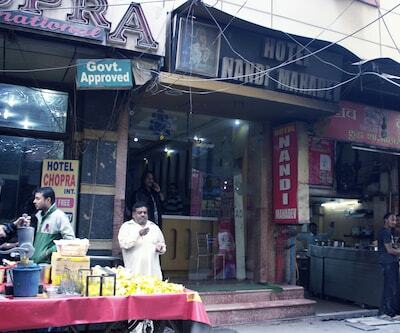 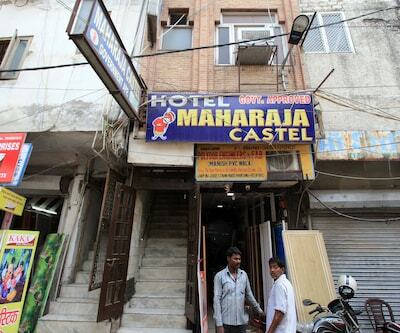 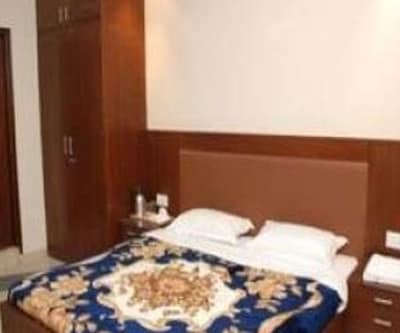 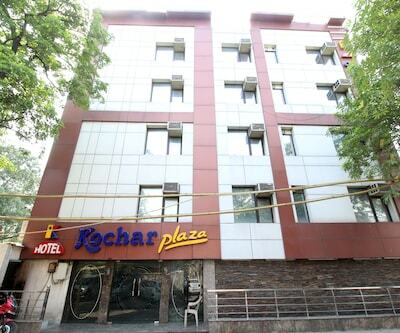 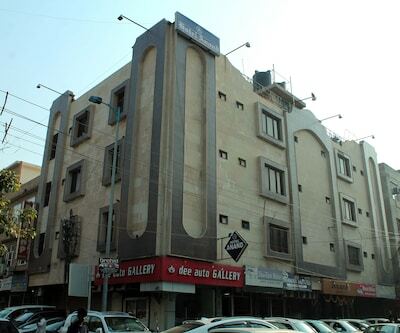 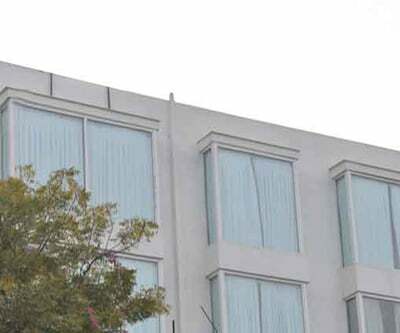 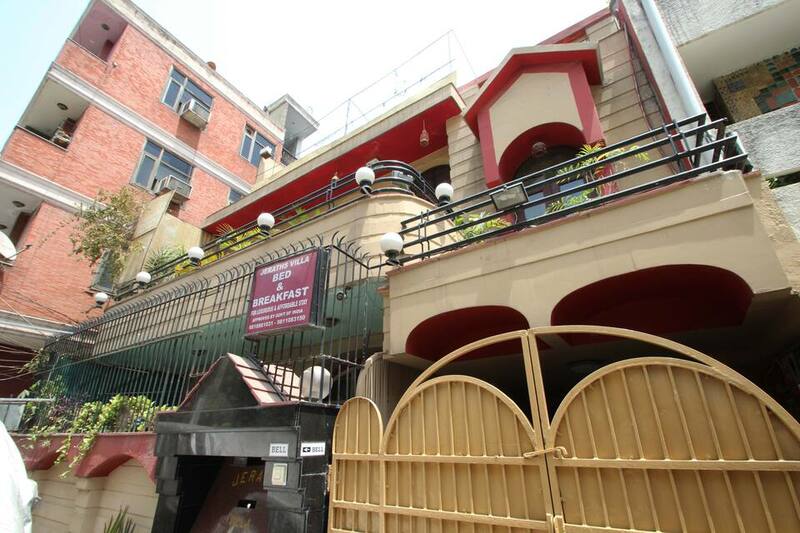 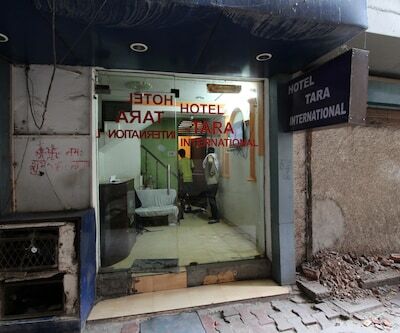 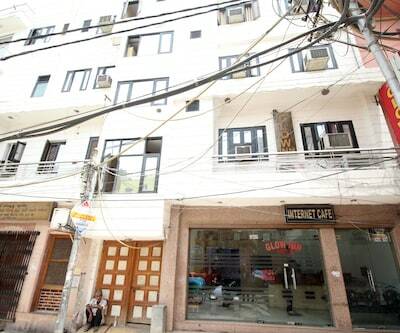 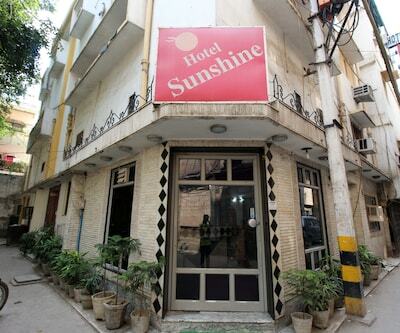 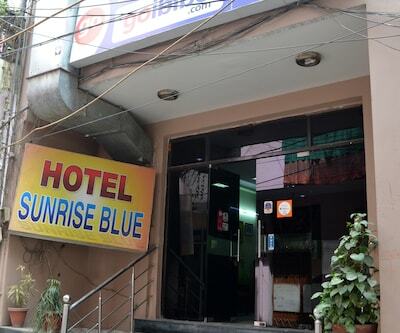 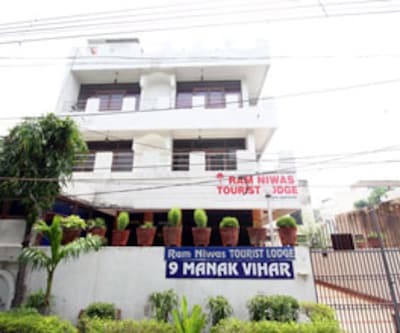 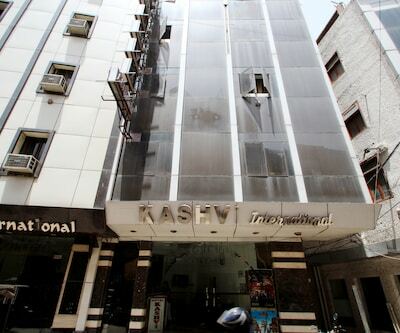 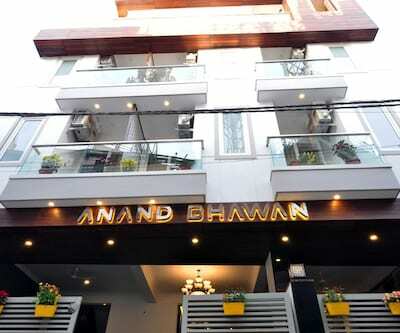 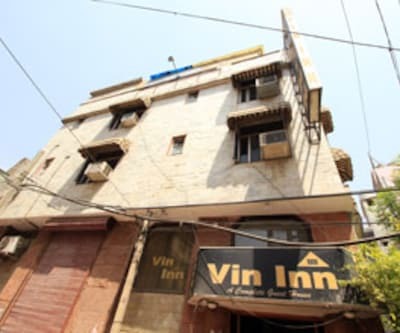 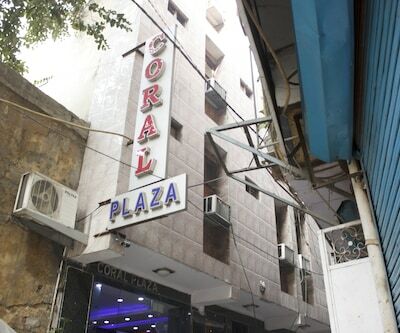 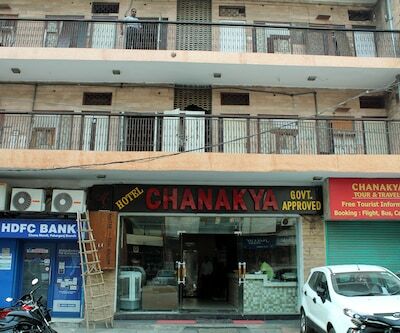 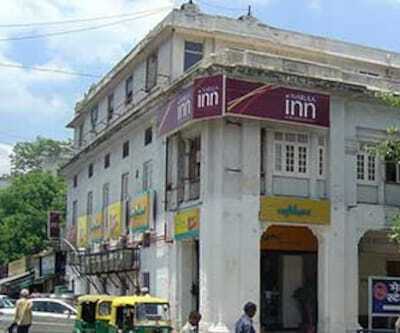 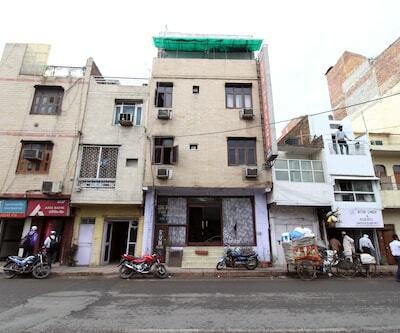 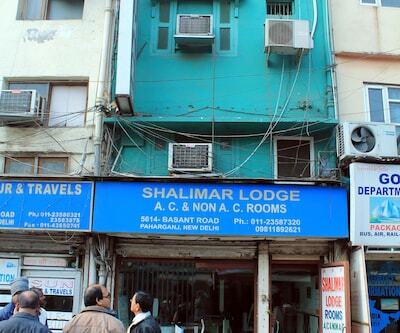 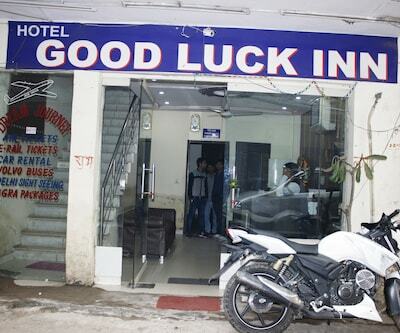 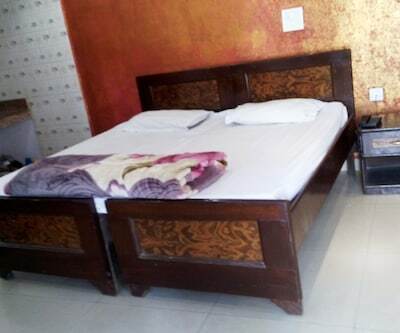 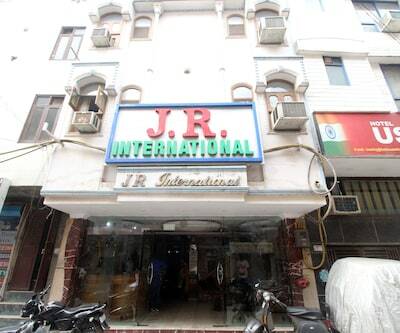 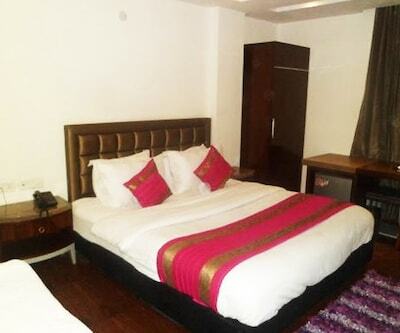 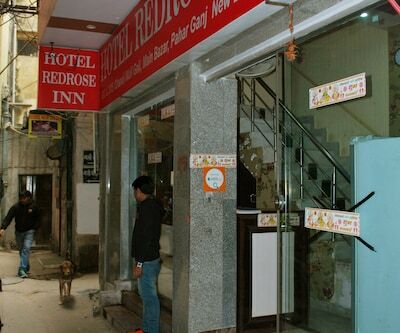 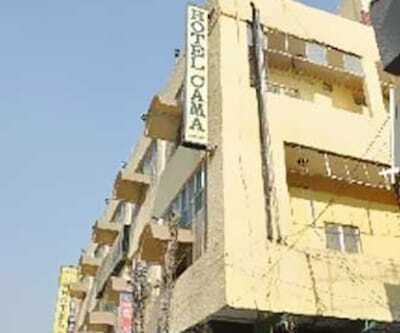 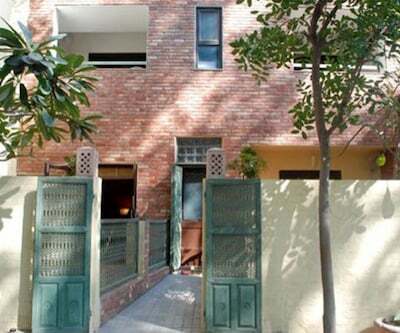 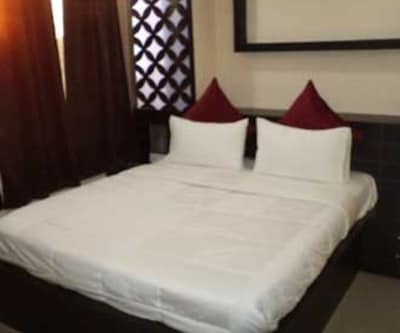 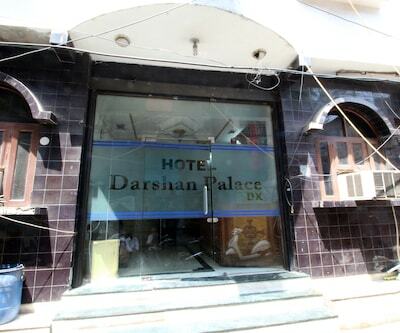 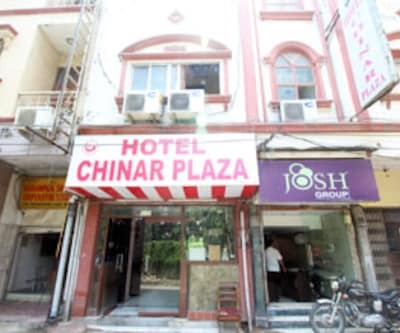 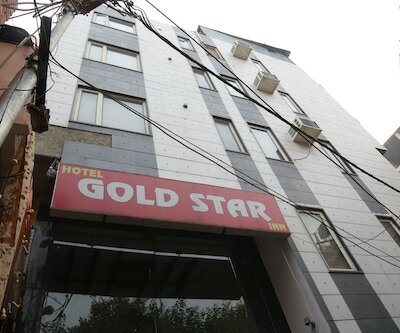 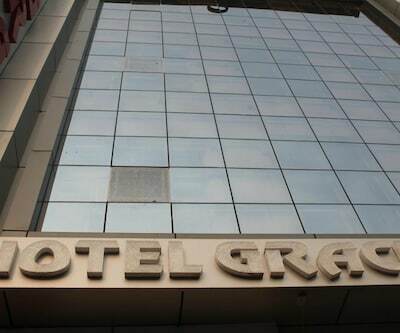 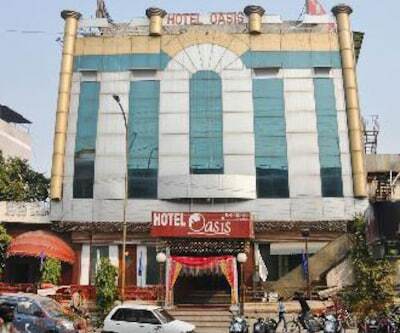 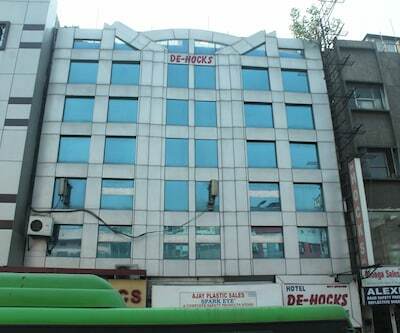 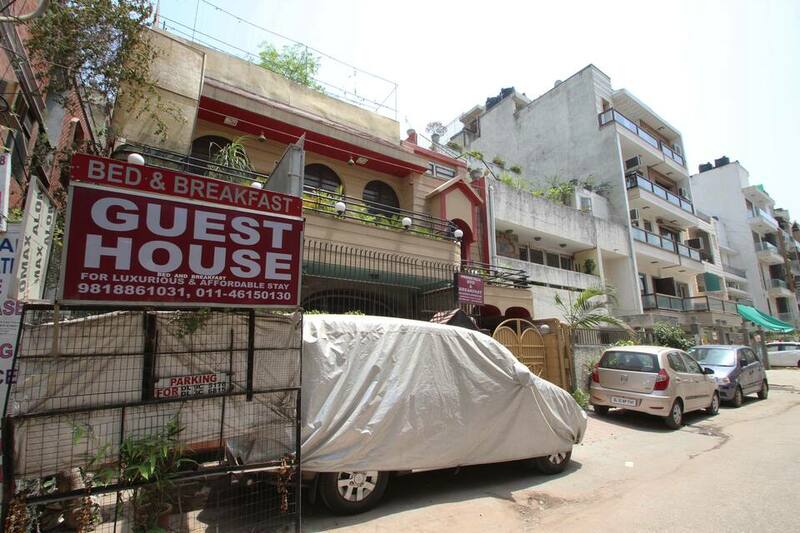 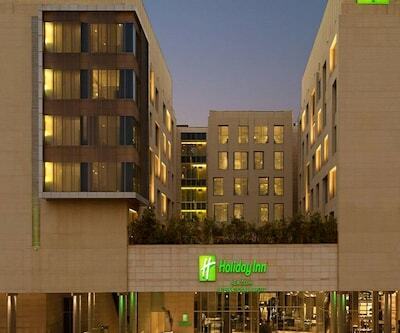 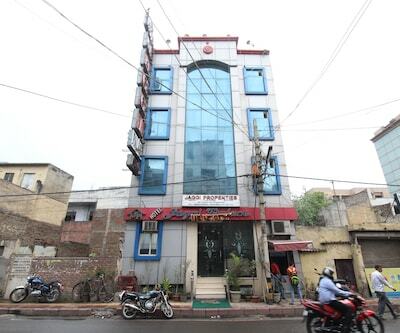 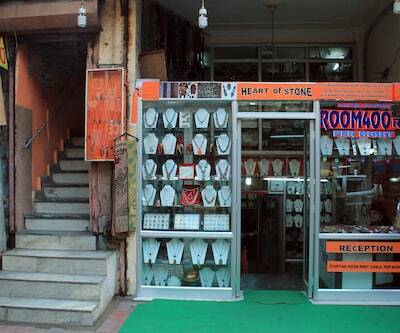 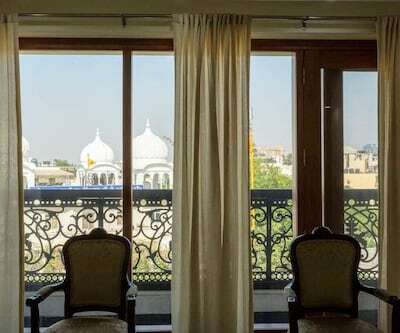 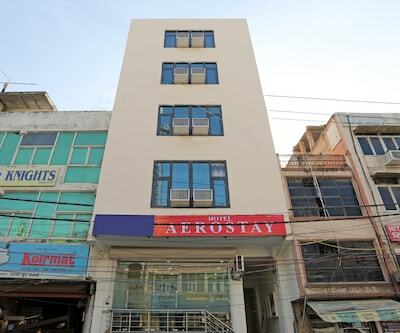 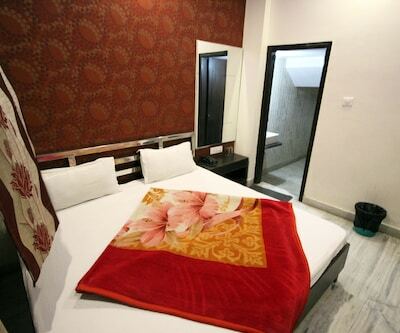 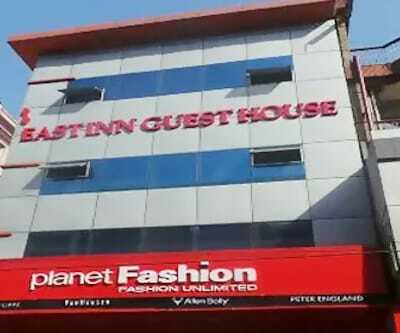 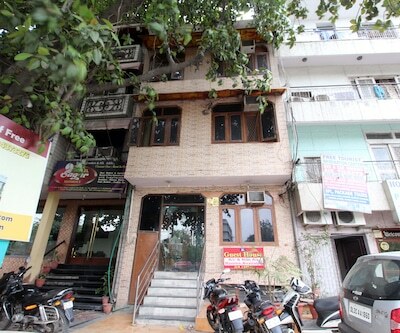 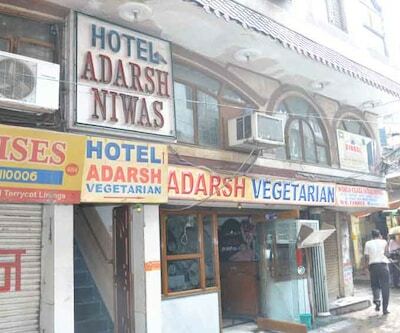 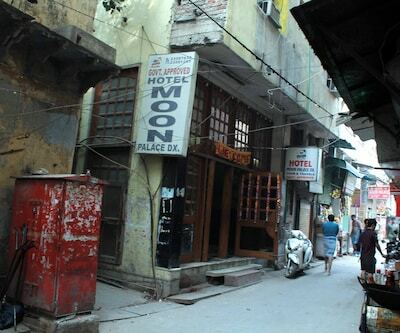 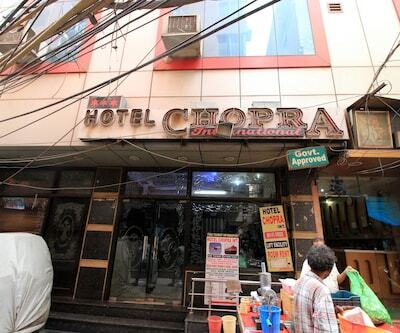 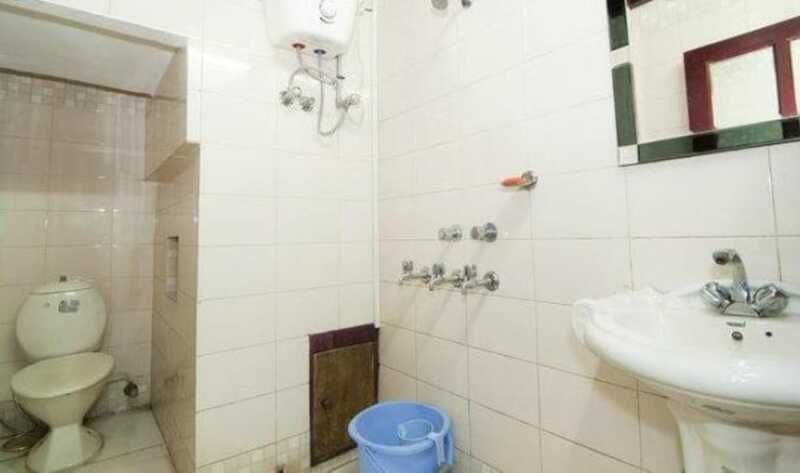 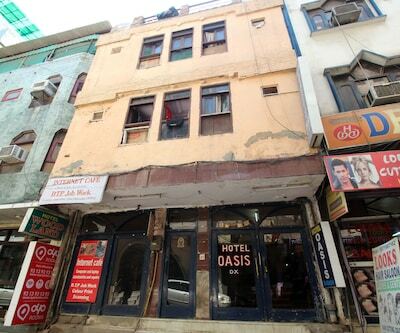 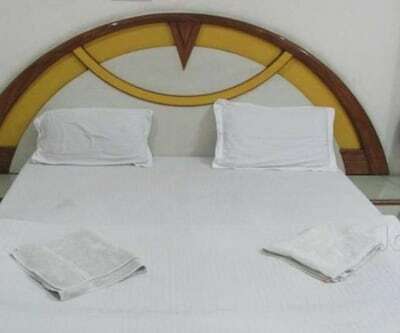 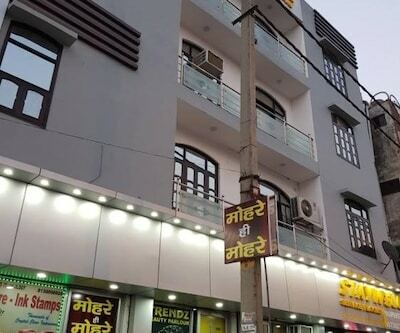 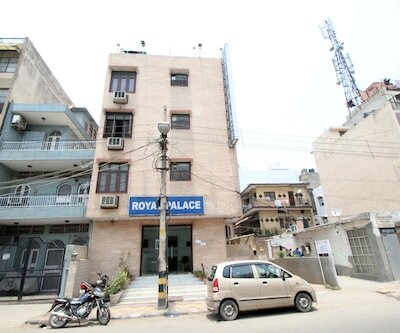 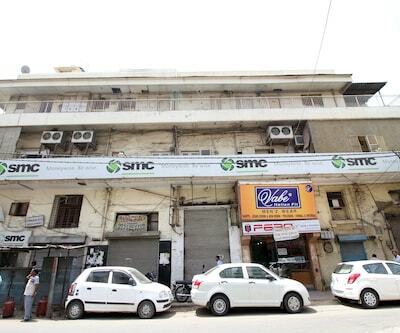 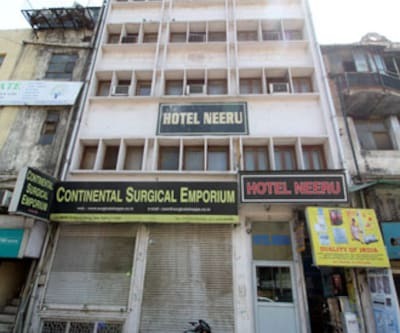 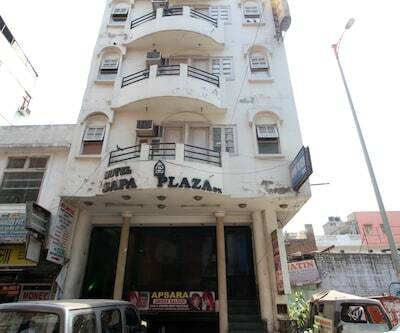 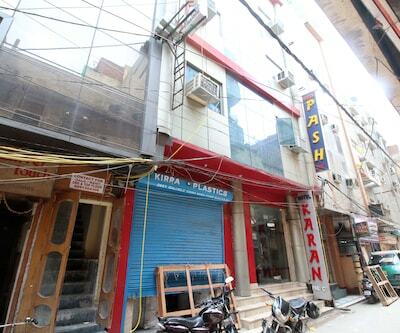 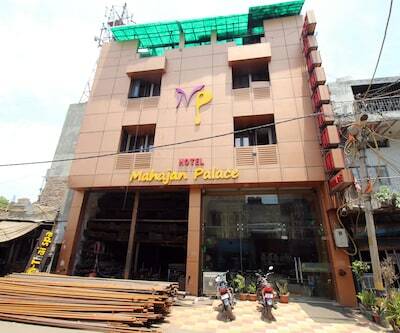 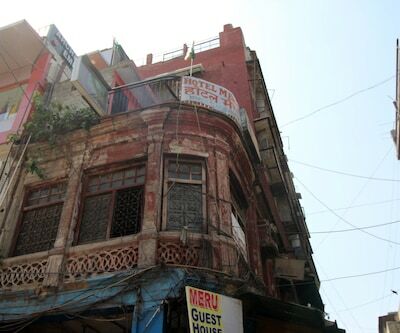 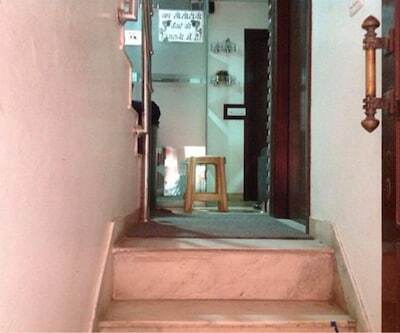 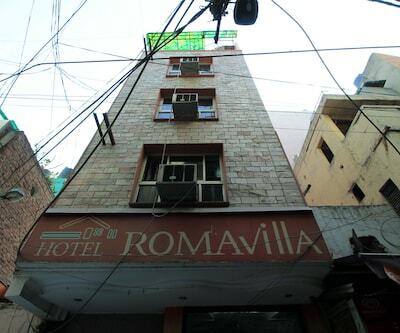 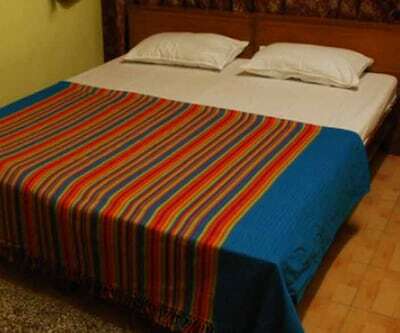 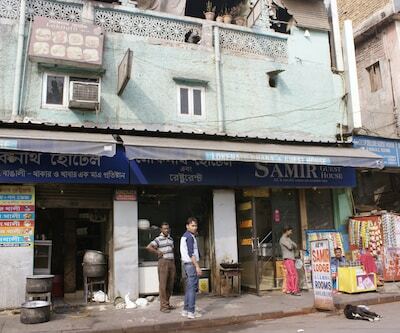 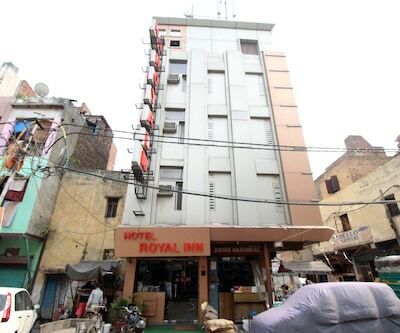 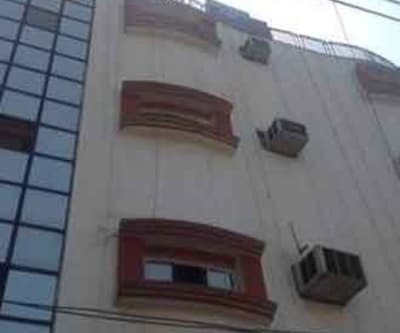 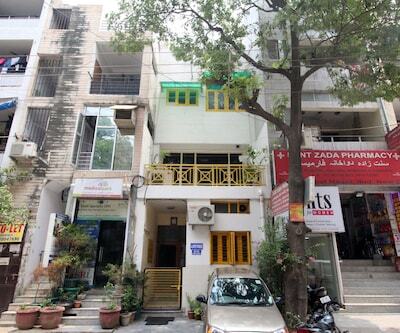 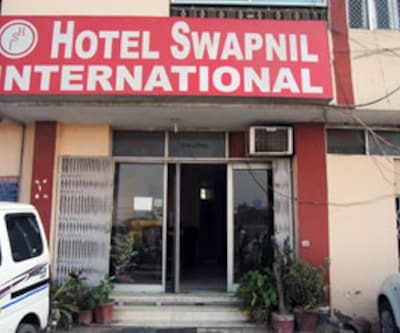 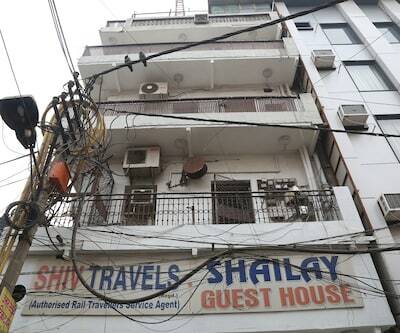 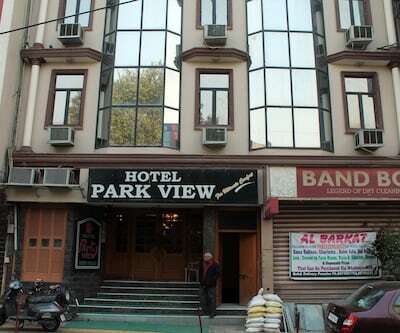 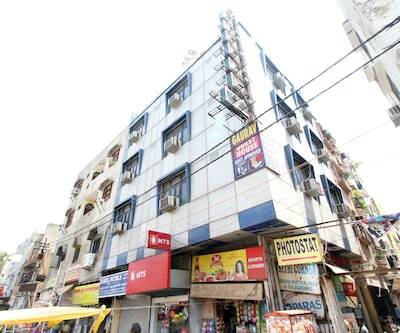 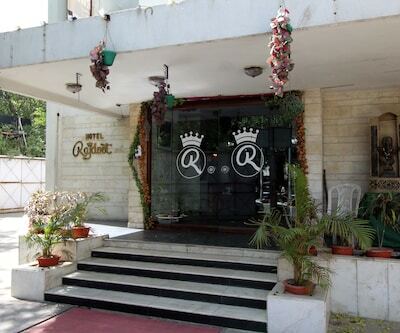 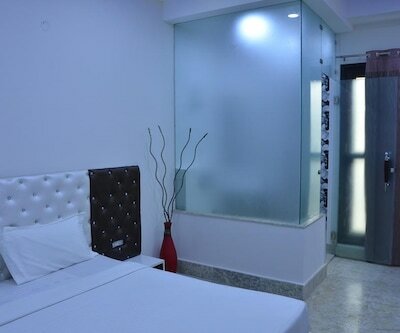 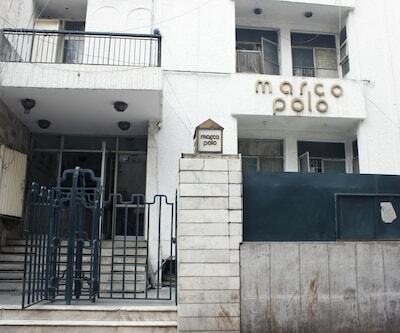 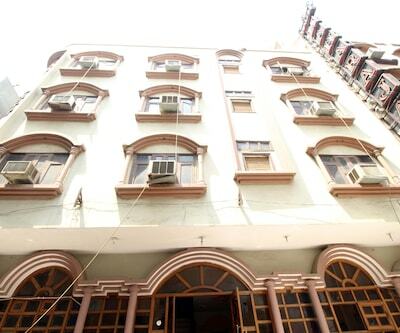 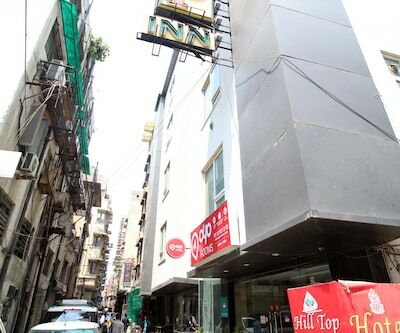 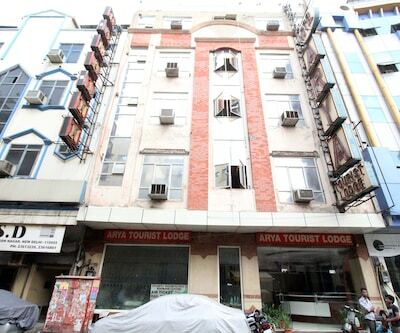 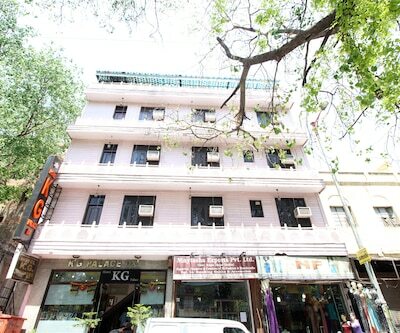 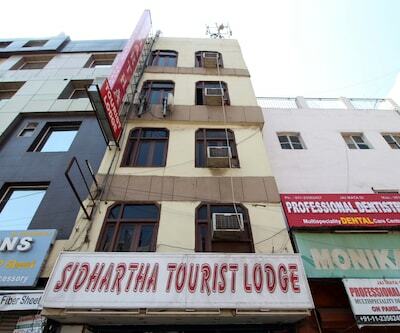 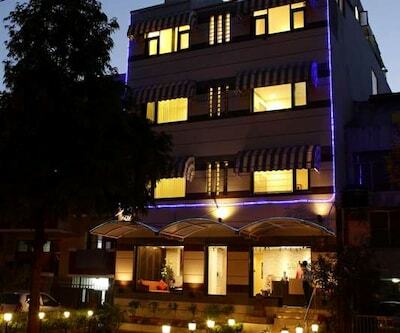 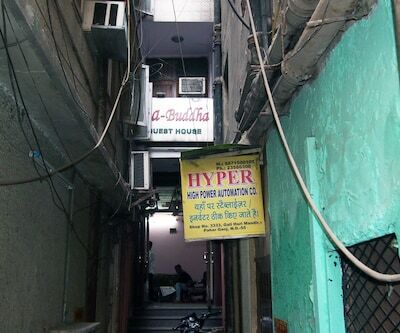 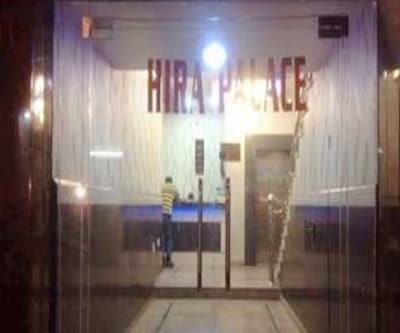 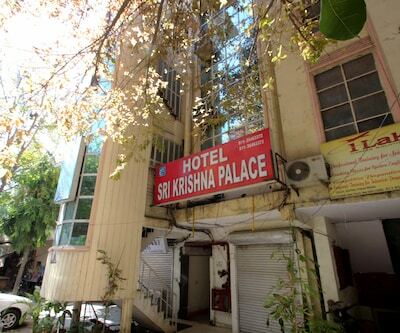 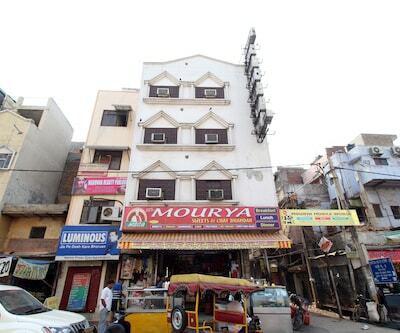 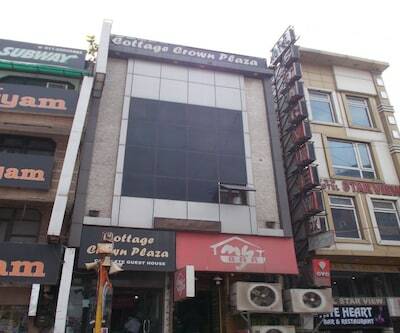 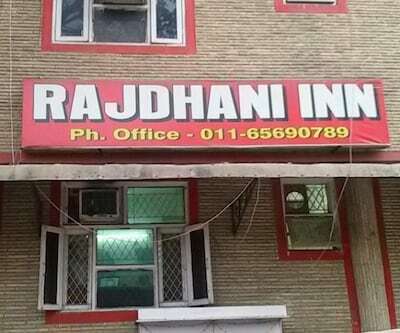 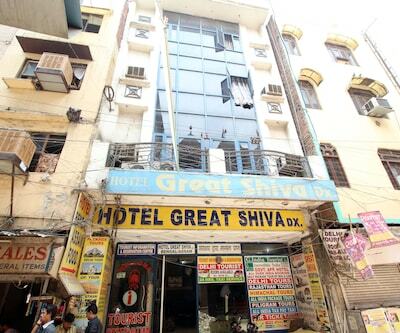 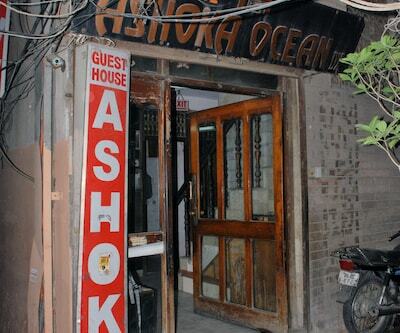 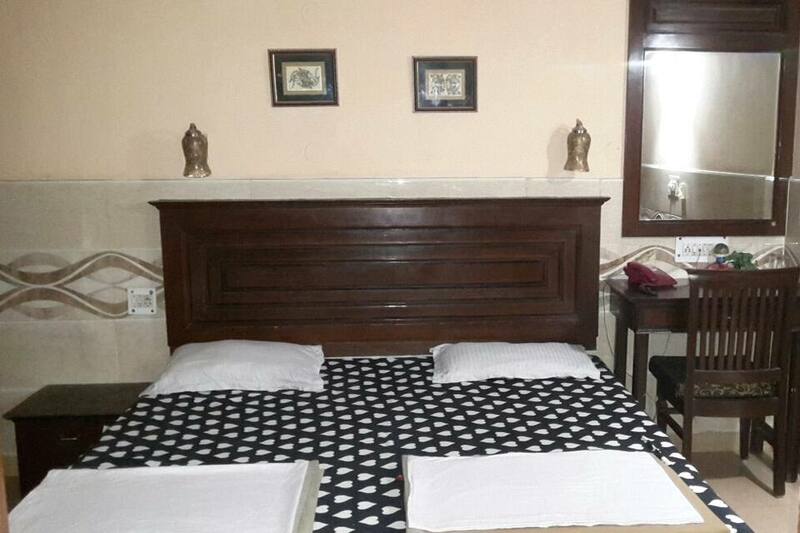 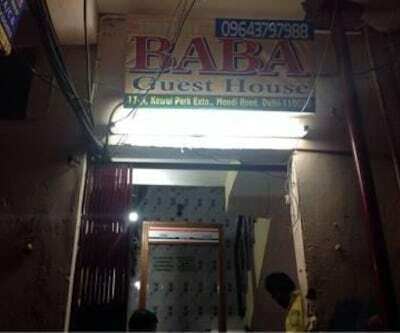 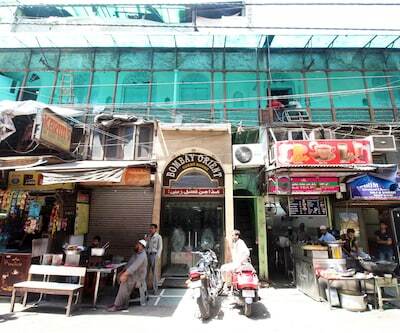 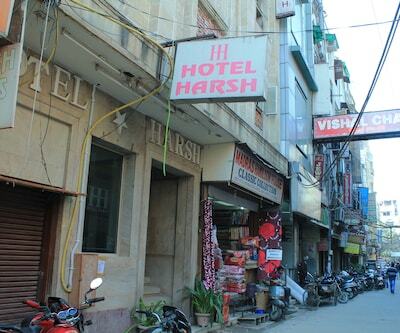 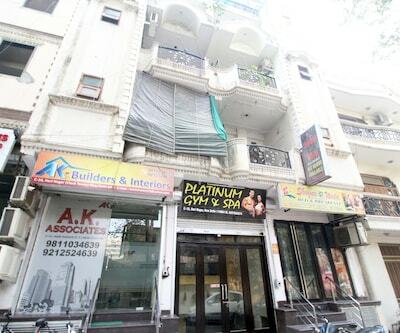 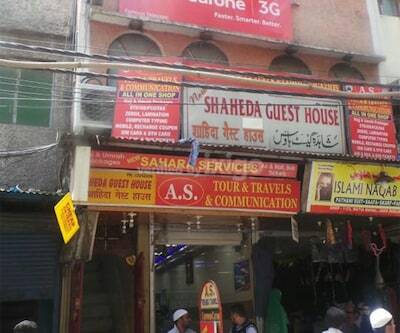 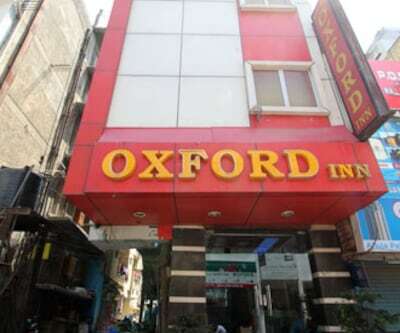 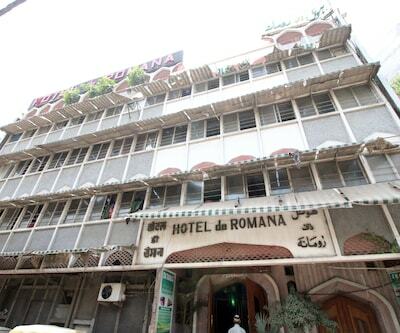 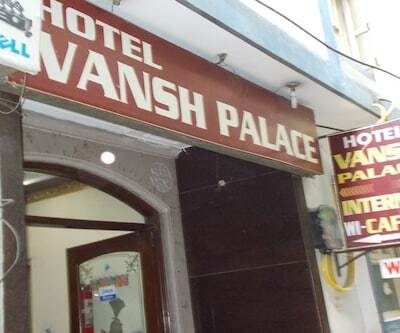 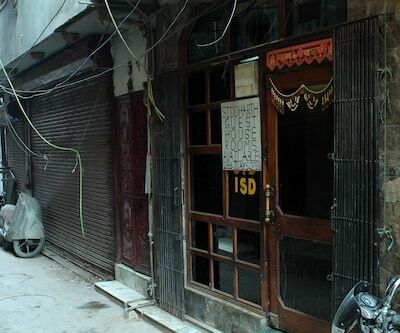 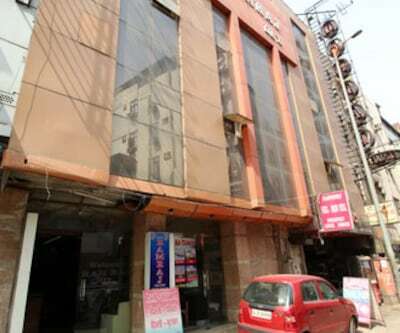 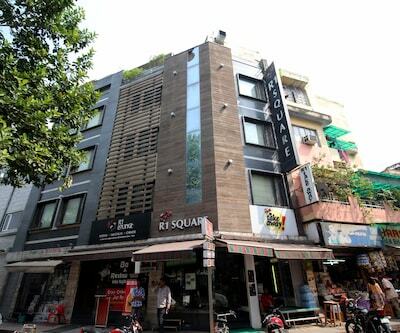 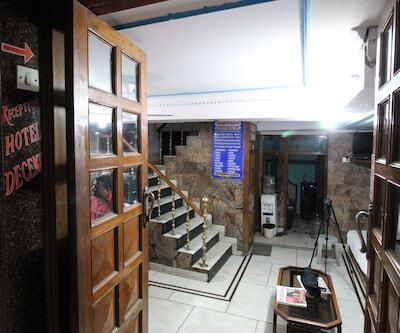 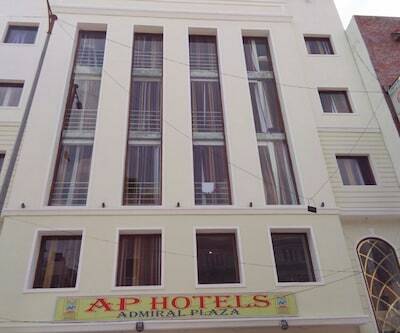 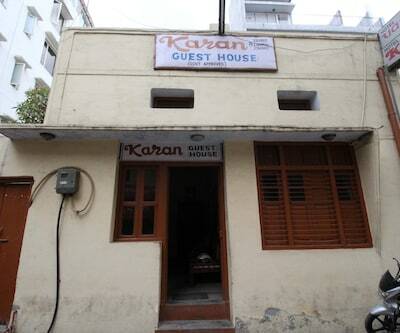 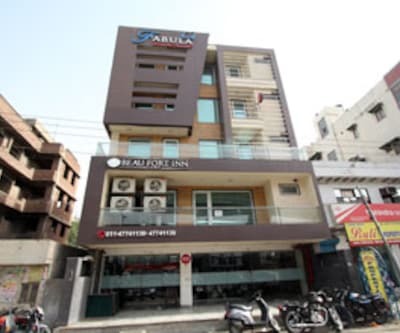 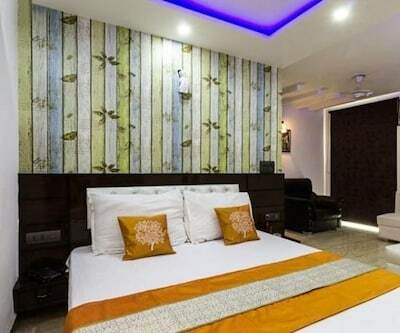 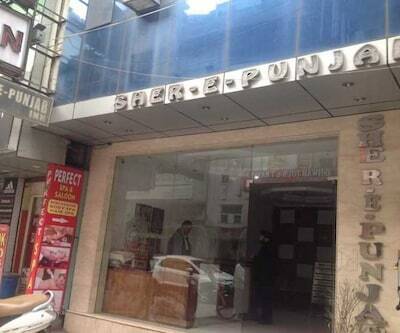 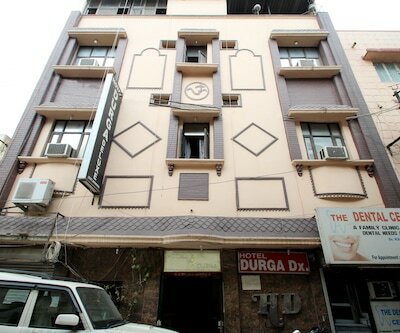 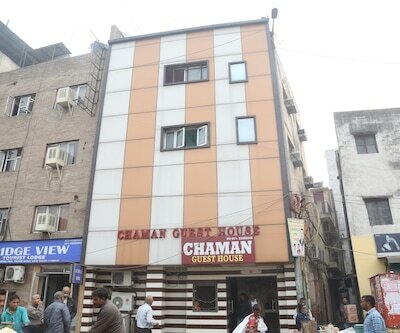 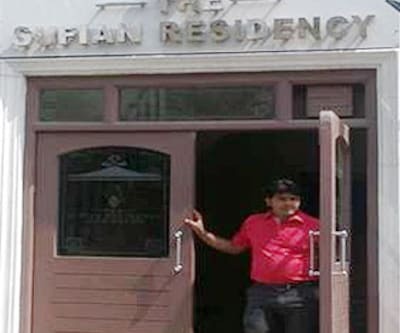 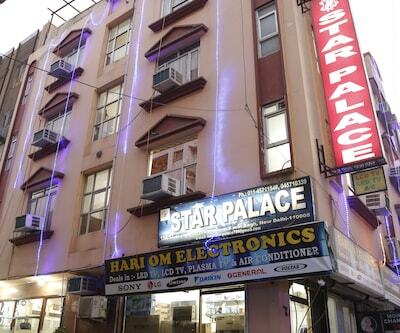 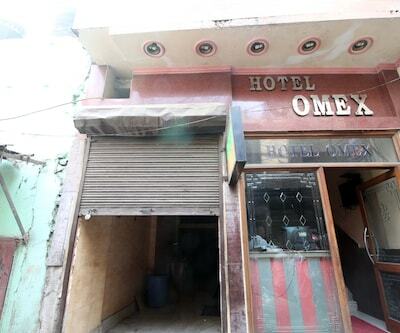 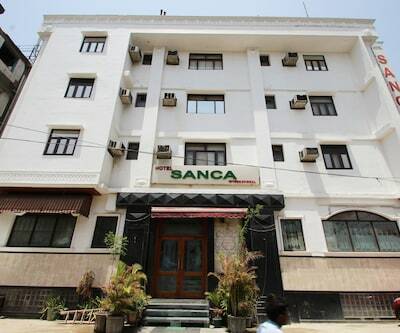 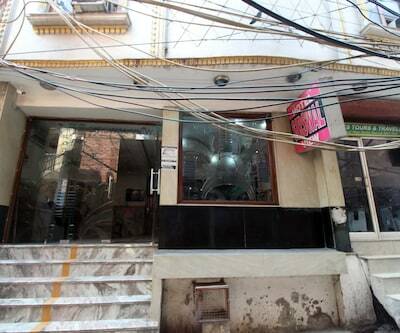 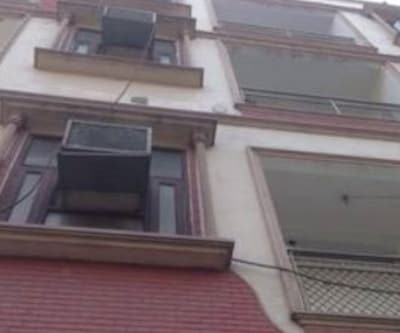 This New Delhi hotel is reachable from the Nizamuddin Railway Station (10 km).The rooms in this hotel are air-conditioned and have attached bathrooms with 24-hour hot/cold water. 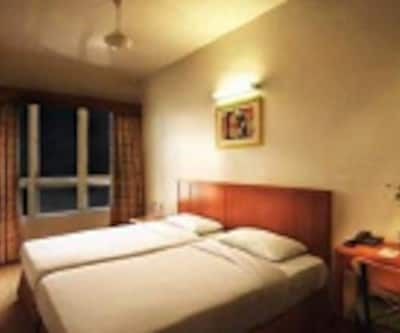 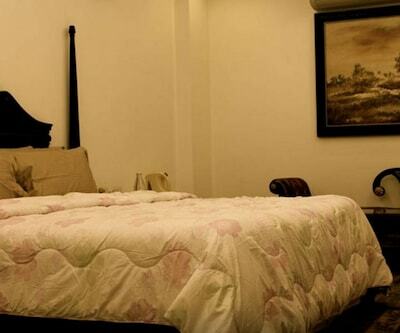 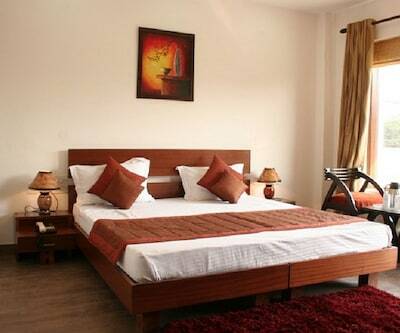 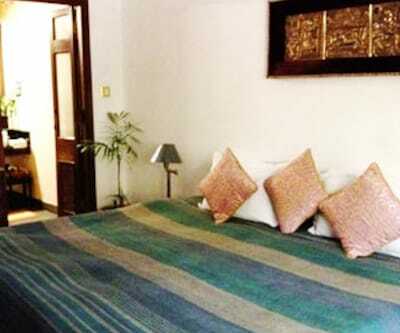 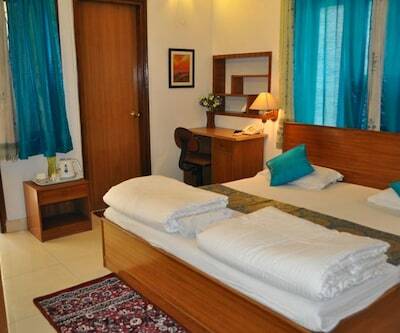 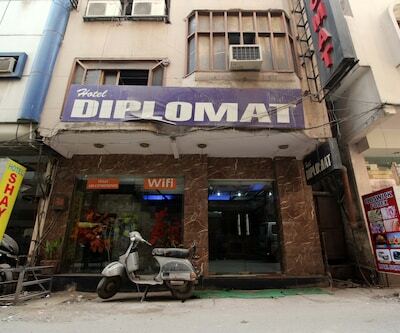 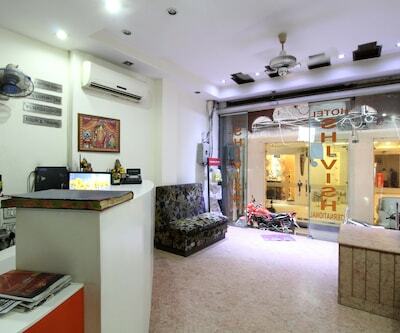 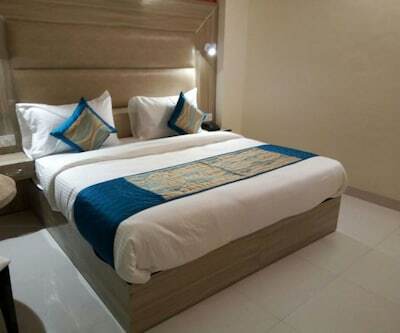 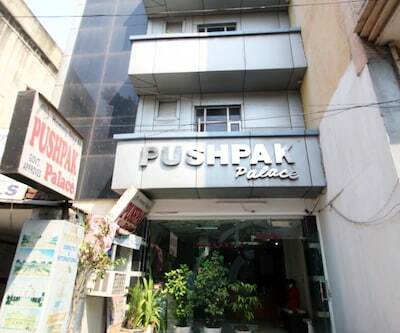 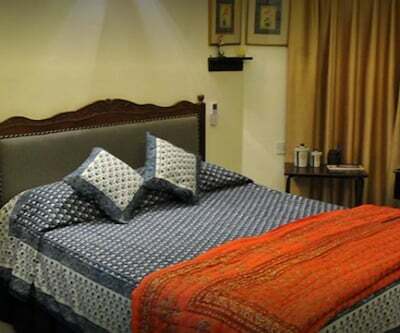 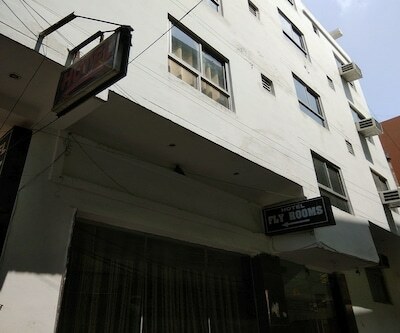 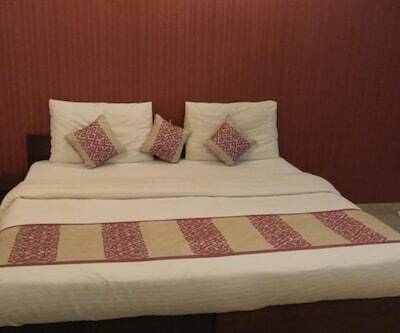 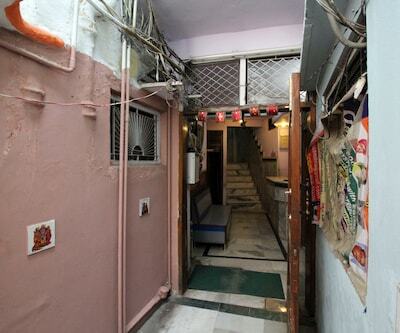 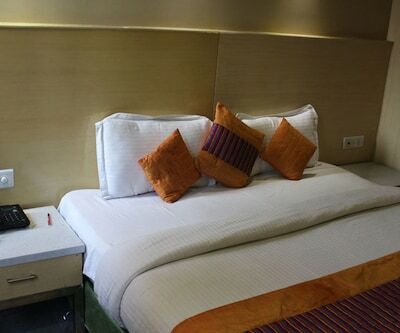 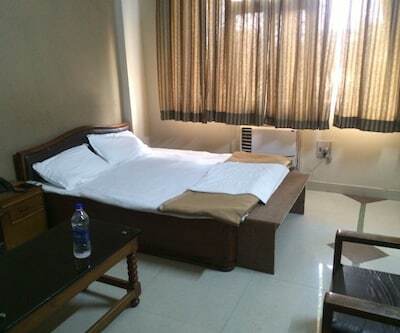 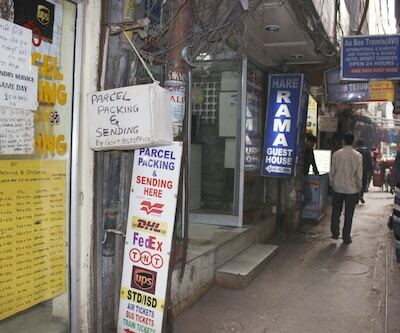 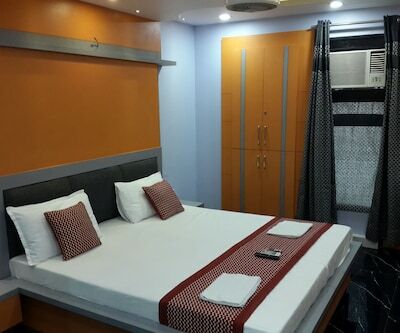 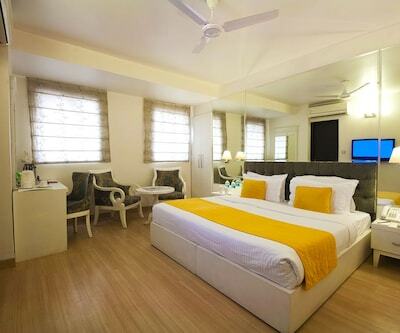 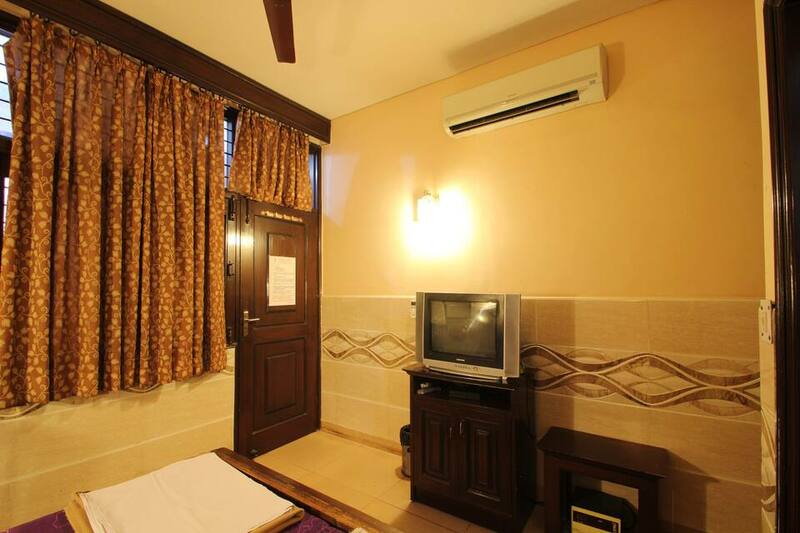 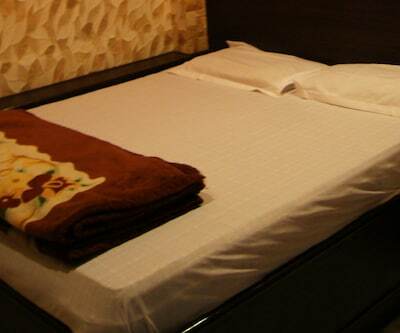 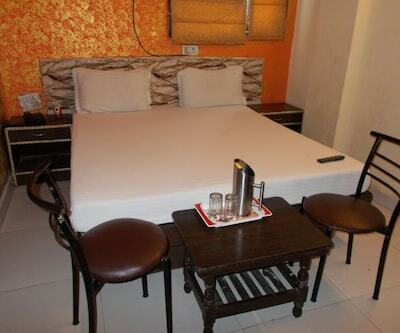 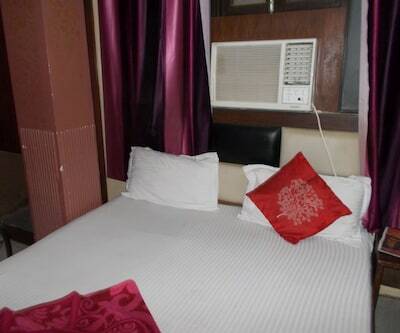 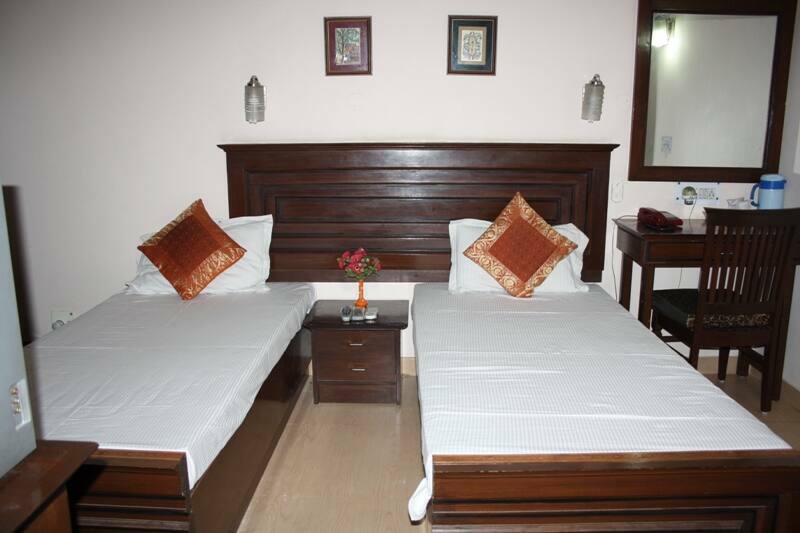 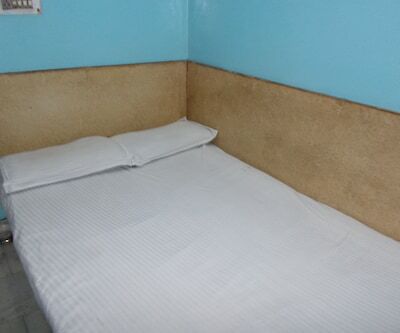 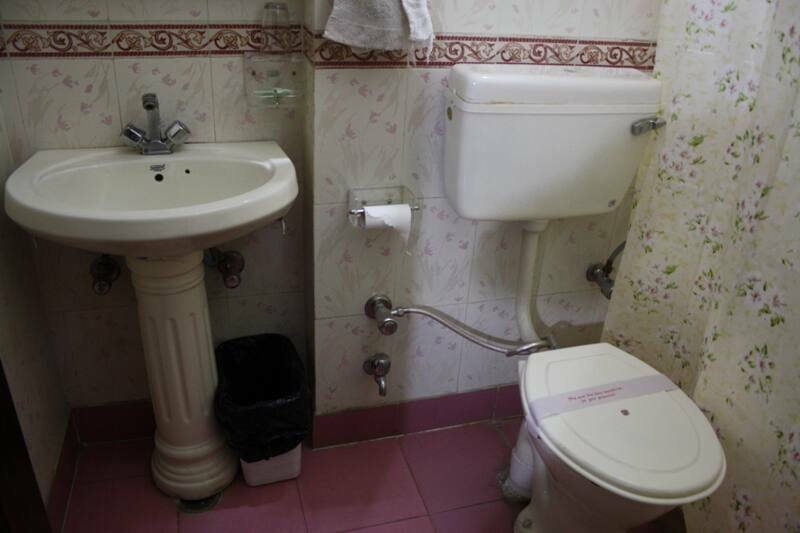 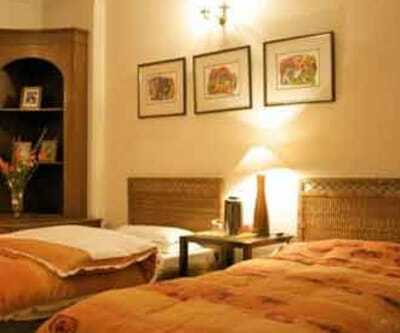 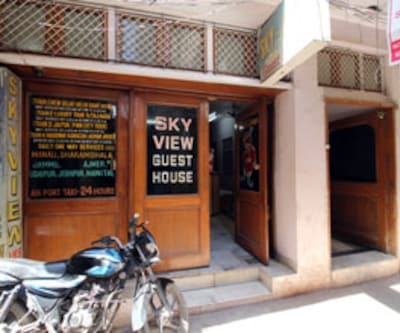 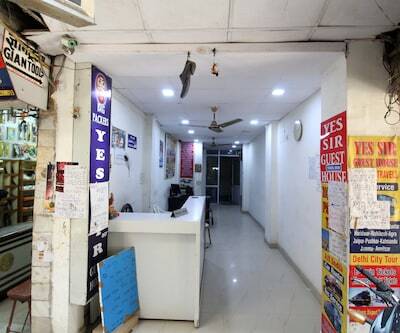 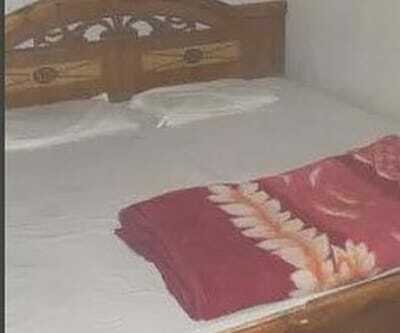 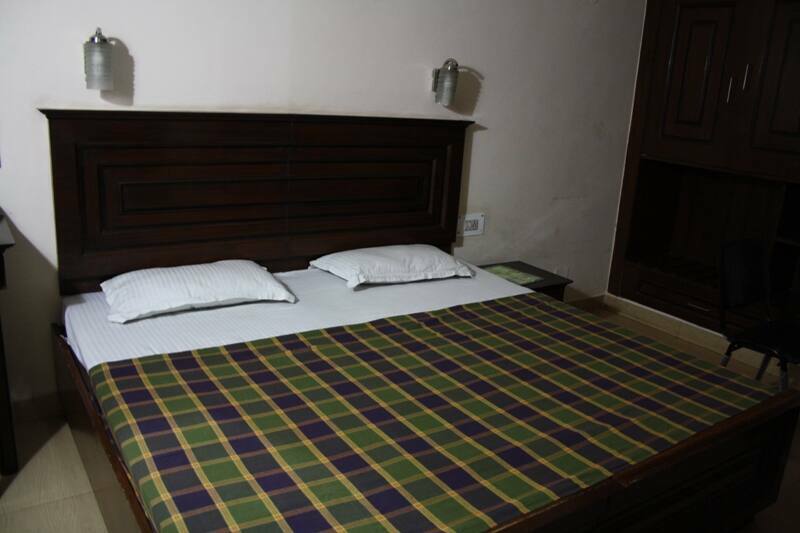 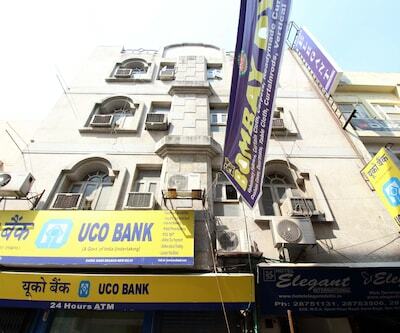 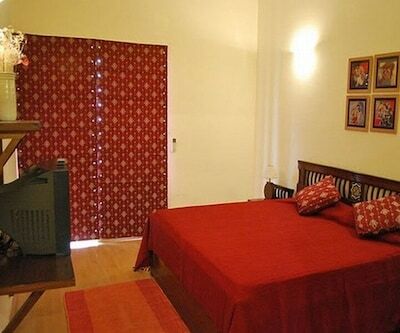 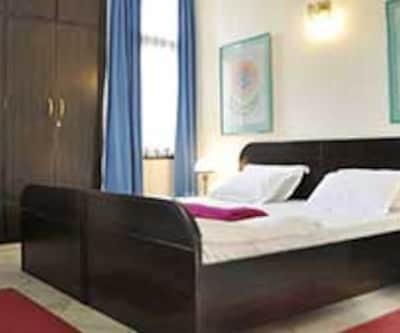 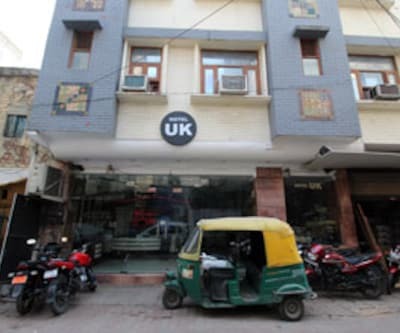 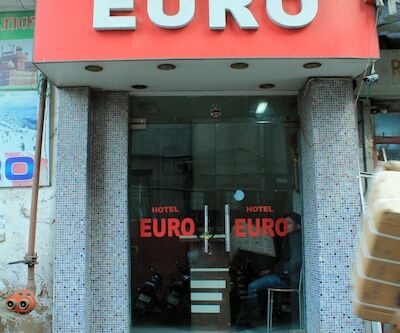 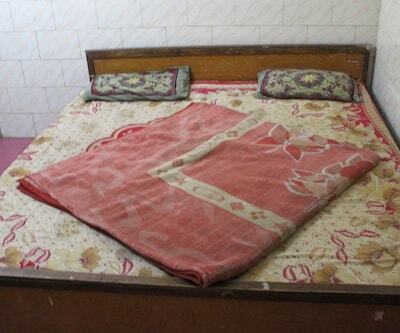 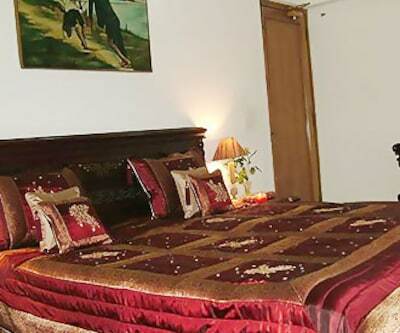 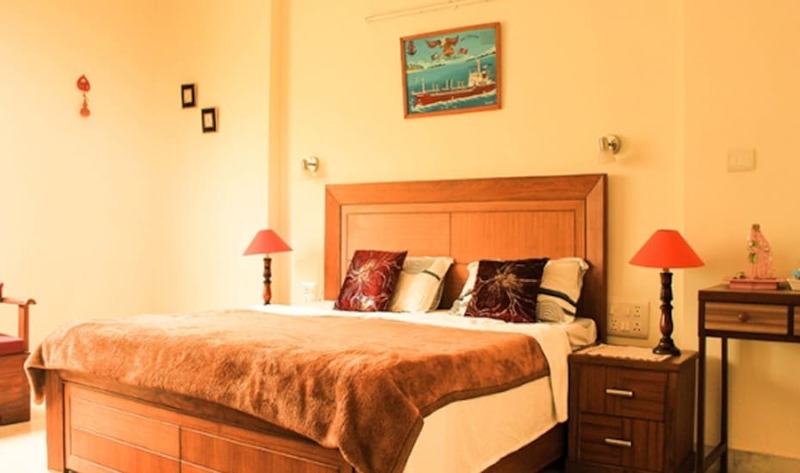 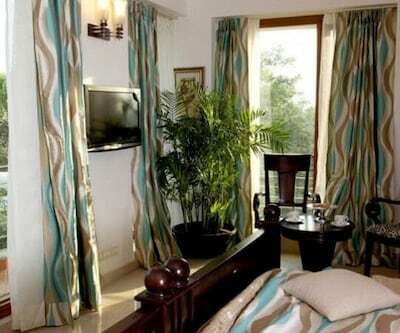 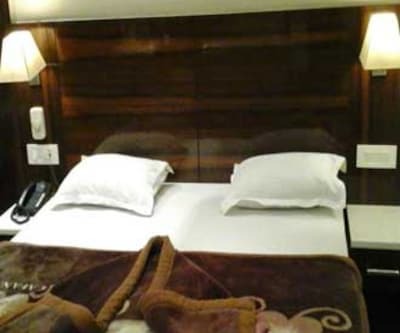 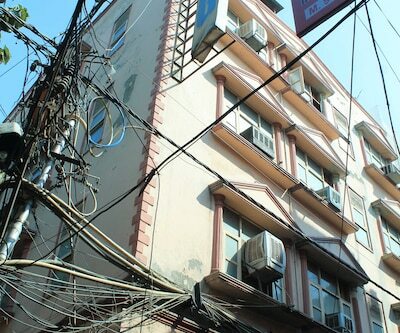 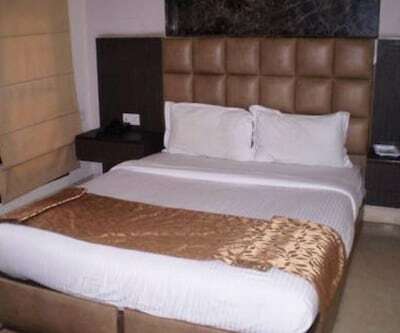 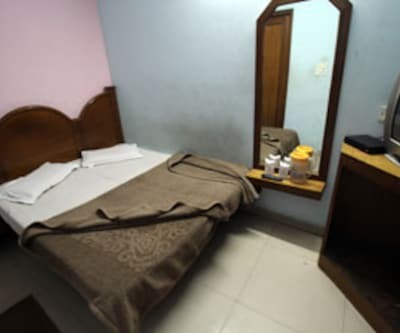 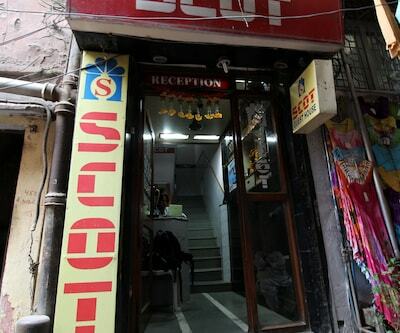 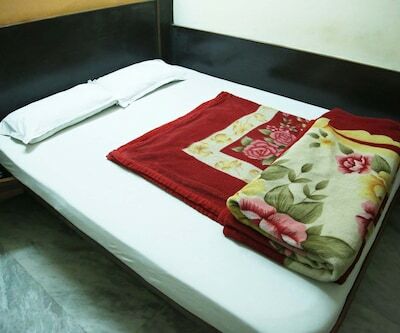 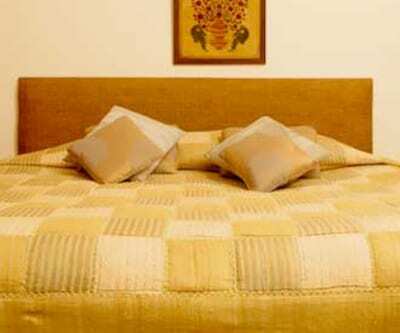 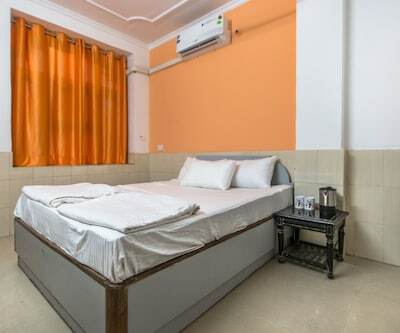 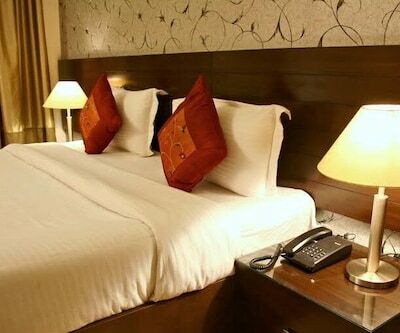 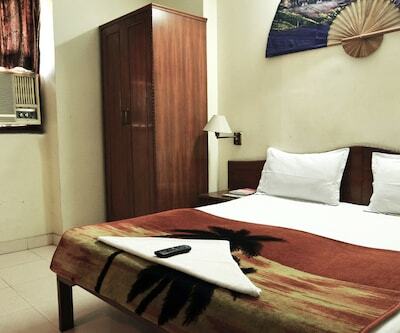 The in-room amenities include a cable TV and heater.This hotel in New Delhi provides doctor-on-call, safe deposit locker, laundry, and 24-hour security services. 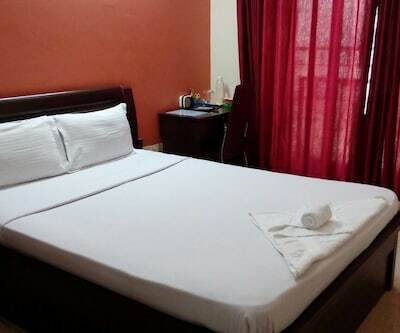 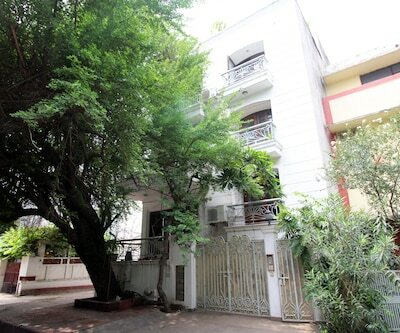 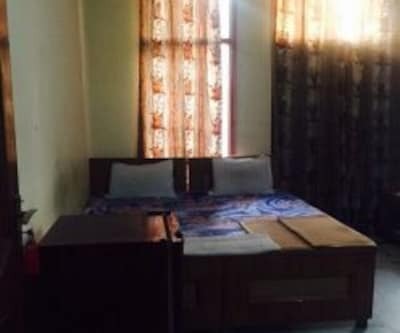 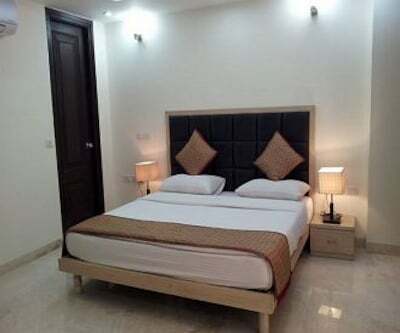 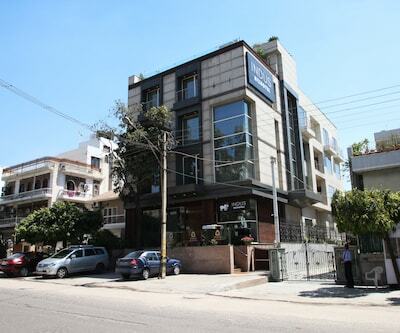 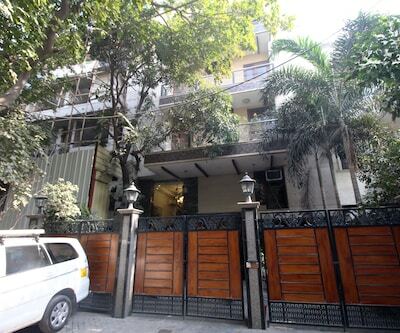 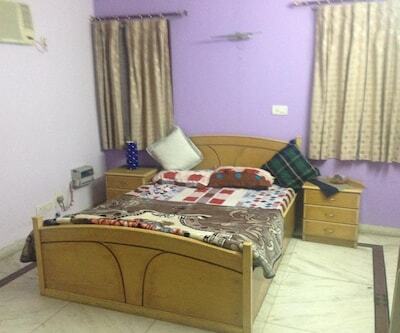 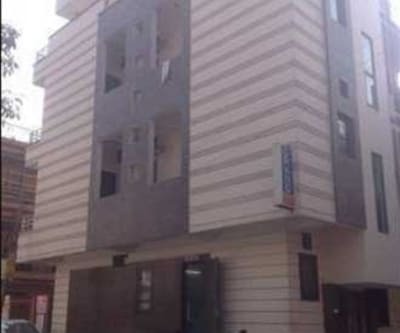 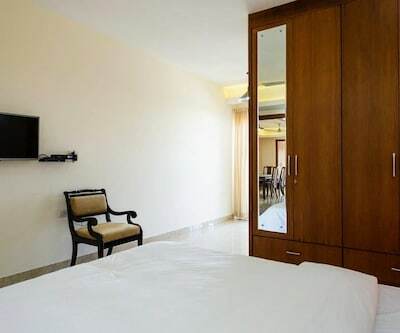 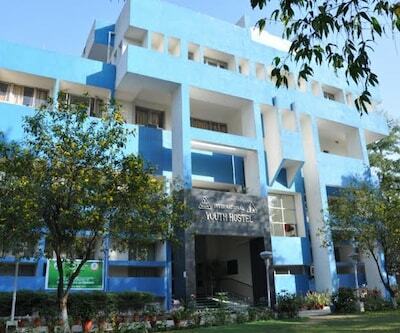 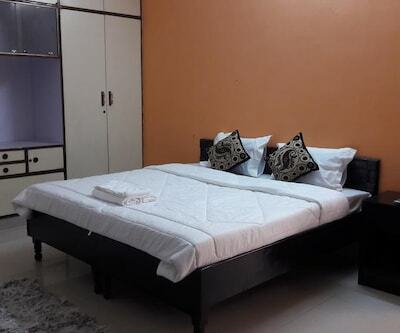 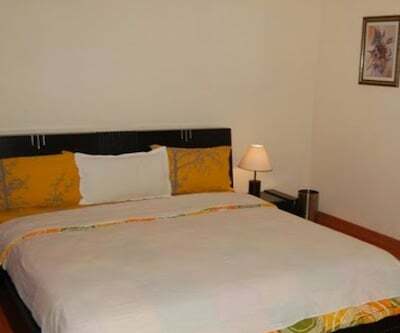 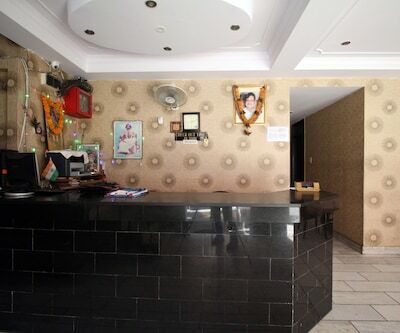 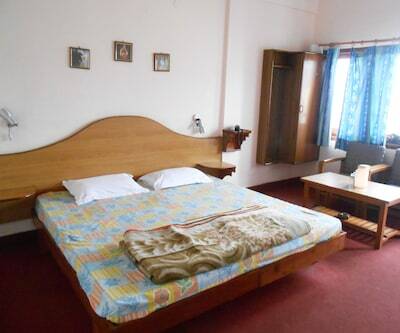 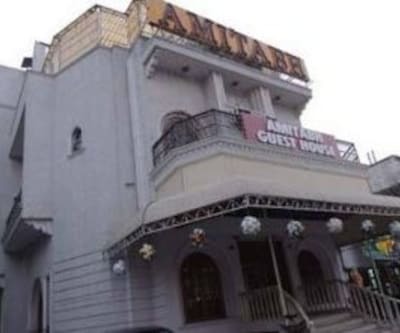 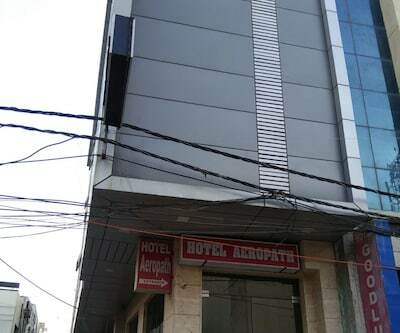 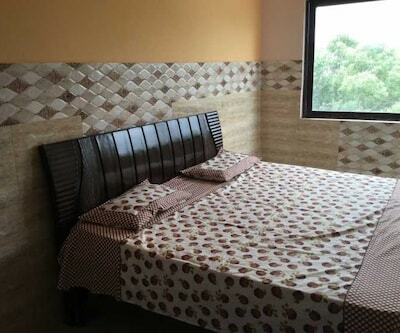 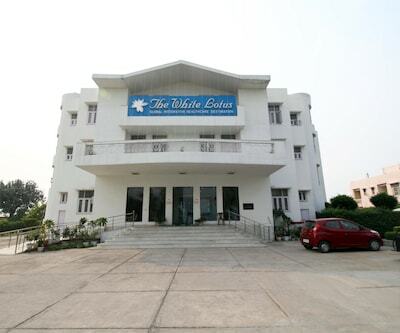 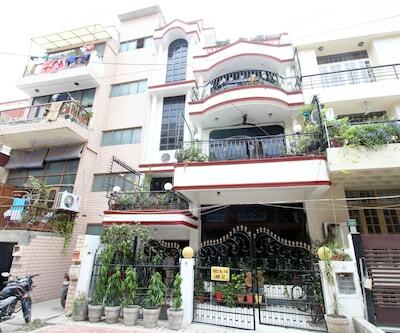 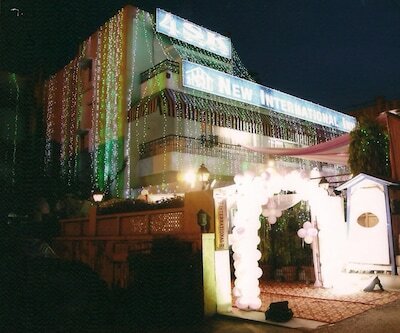 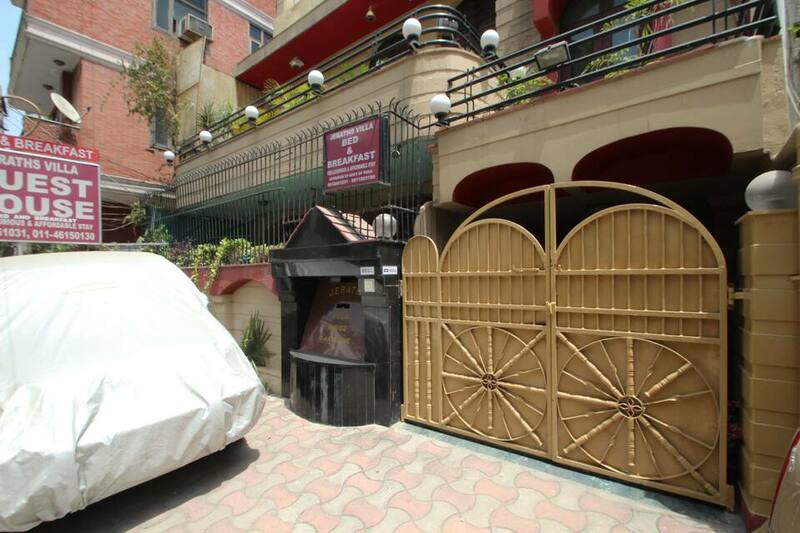 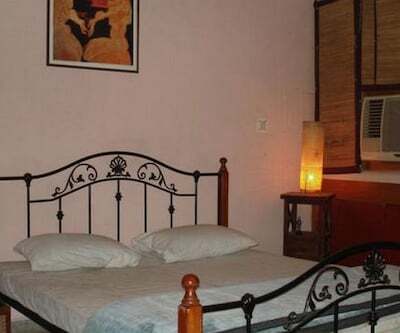 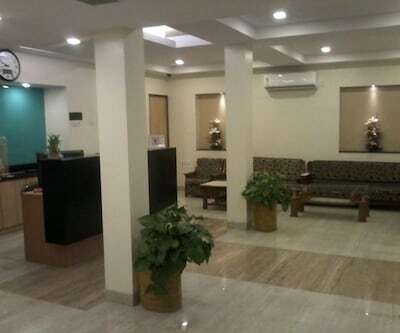 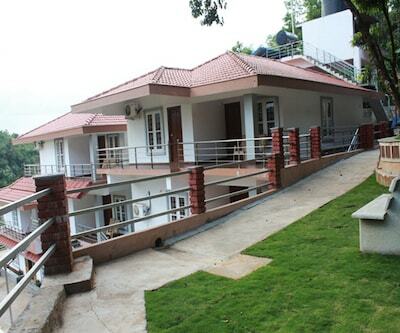 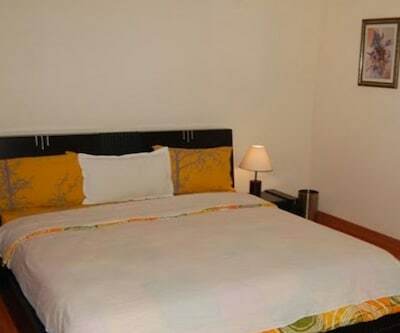 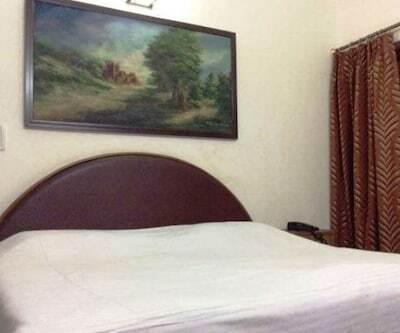 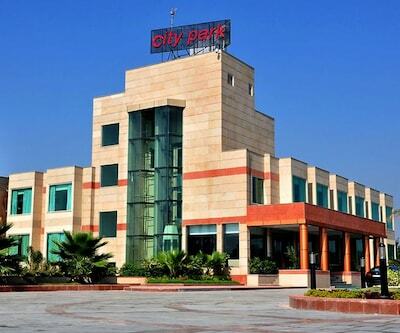 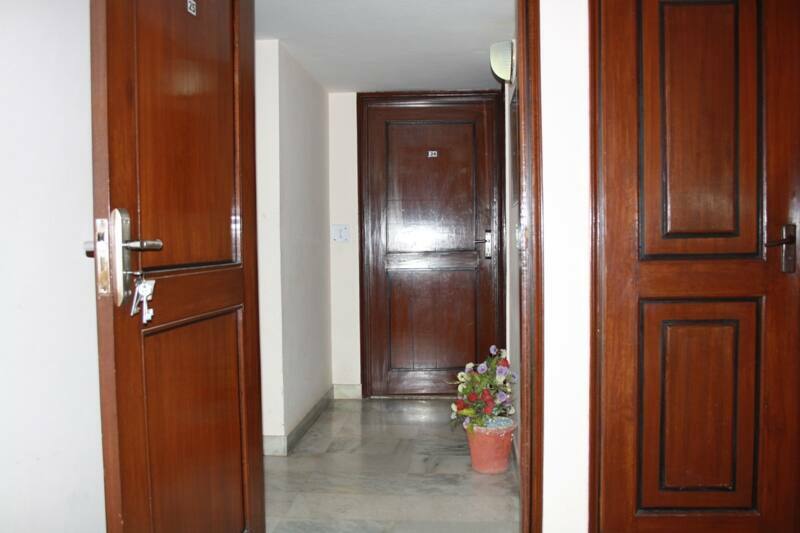 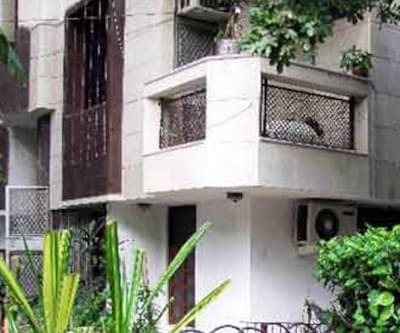 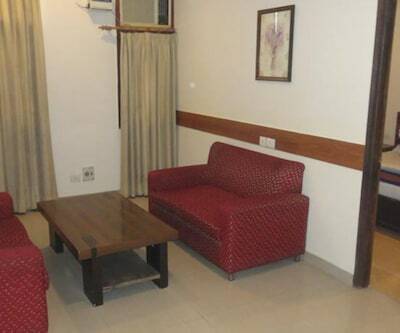 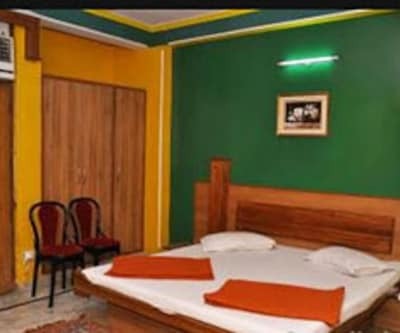 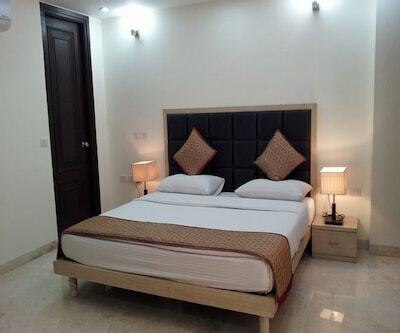 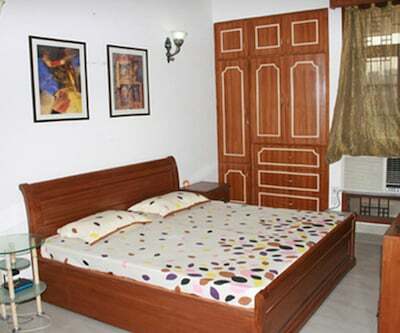 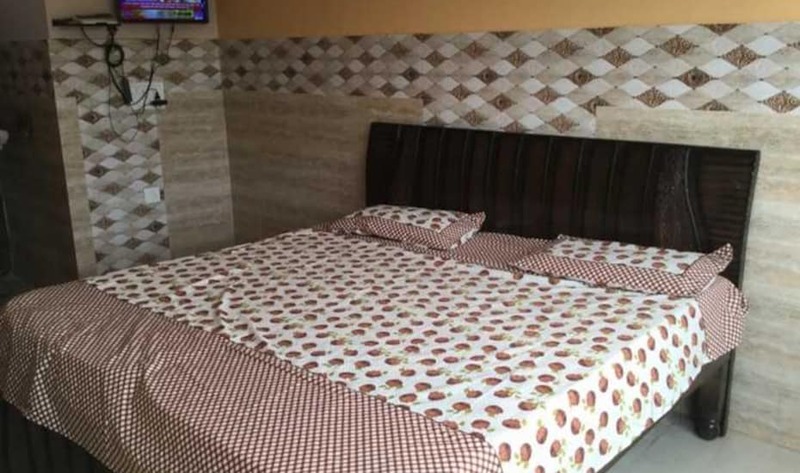 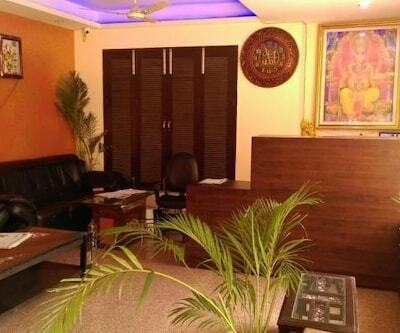 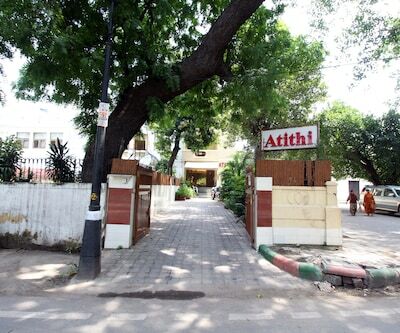 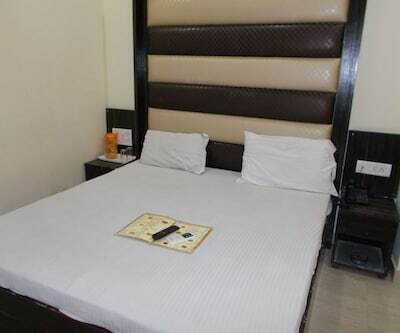 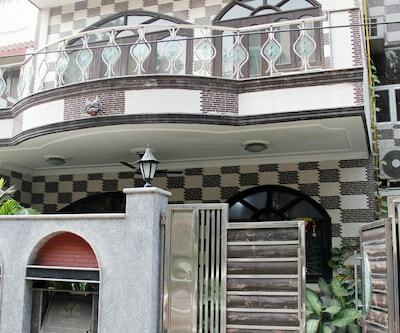 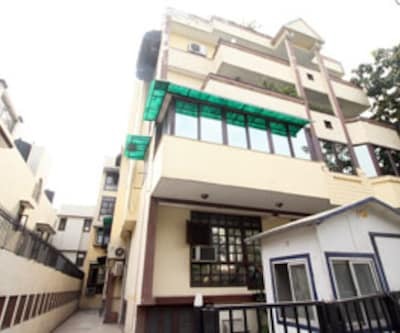 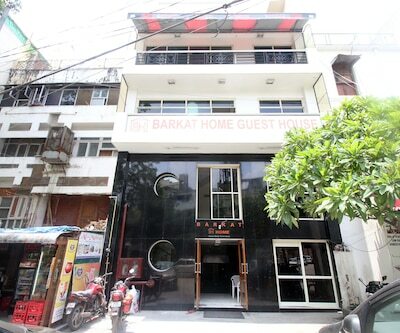 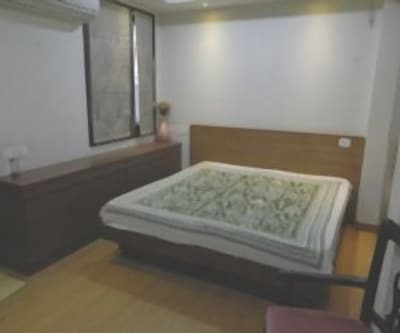 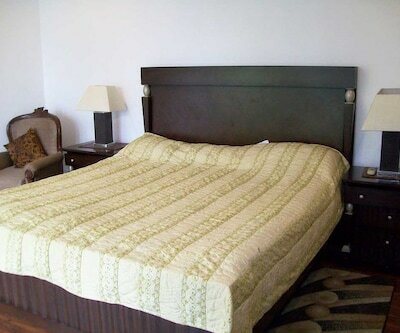 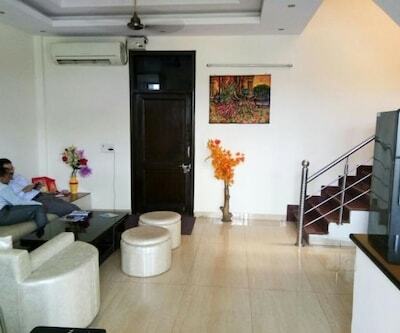 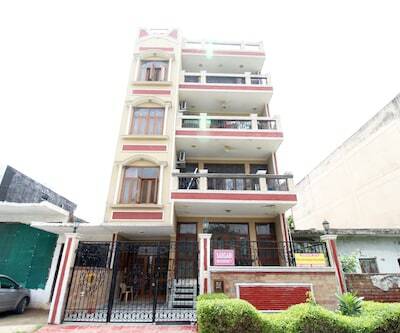 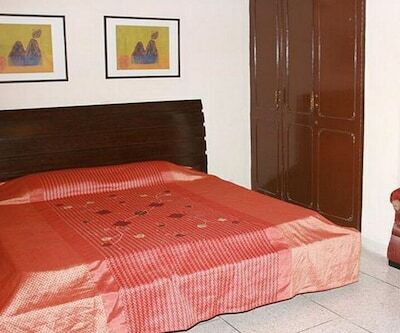 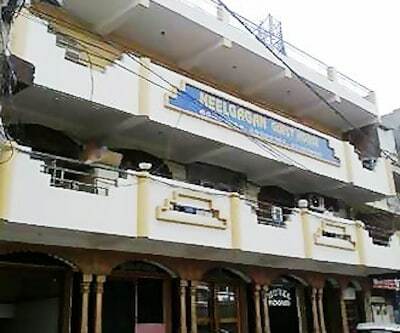 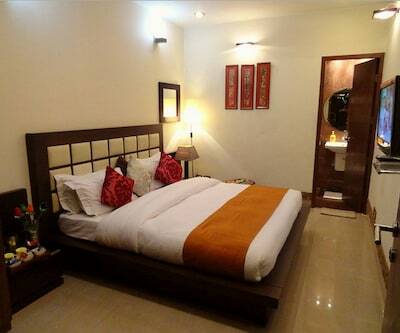 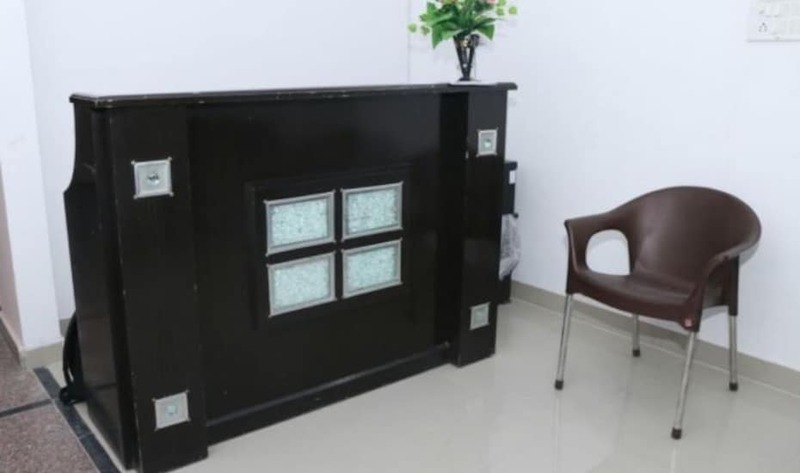 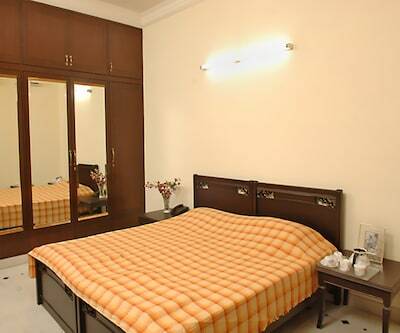 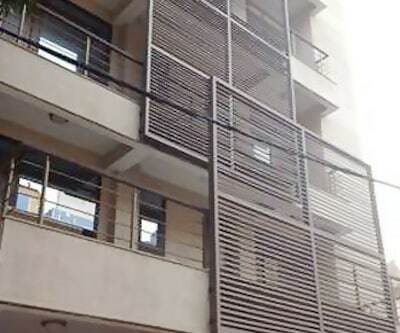 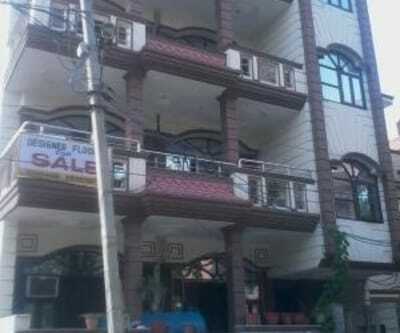 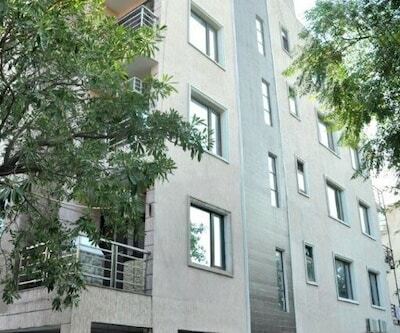 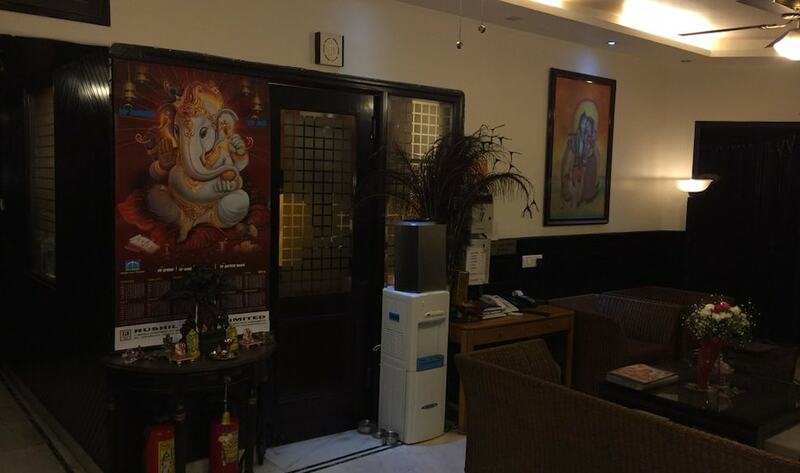 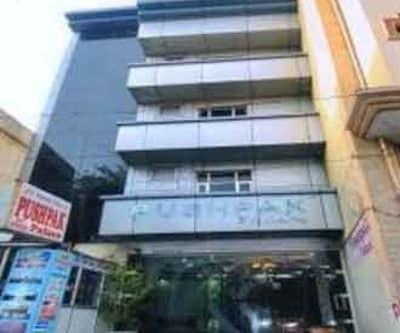 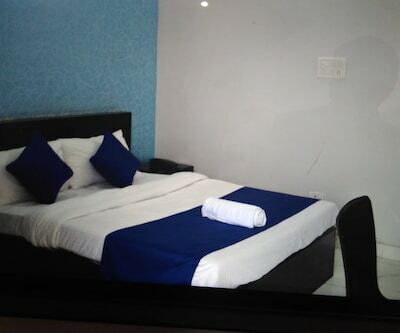 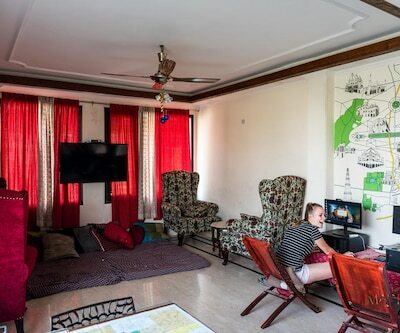 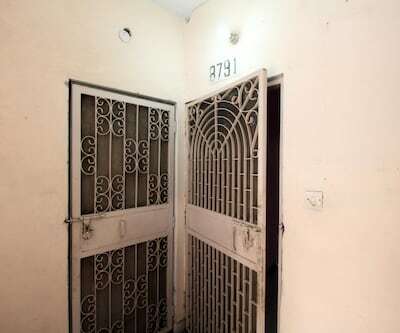 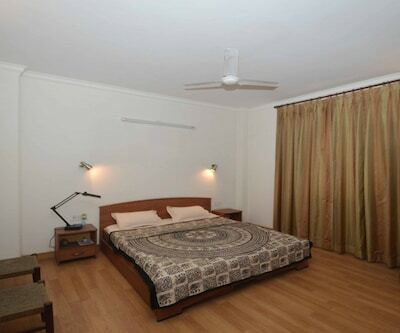 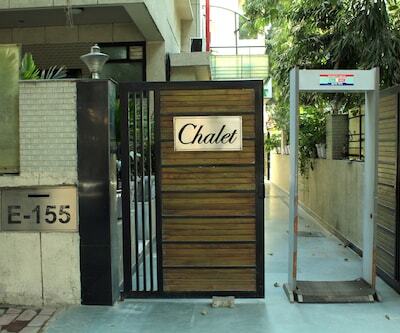 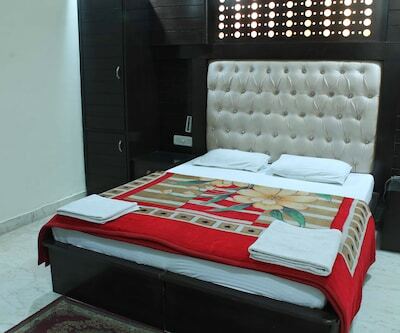 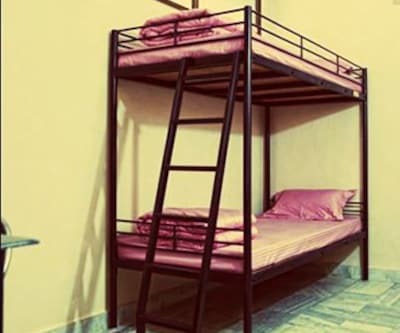 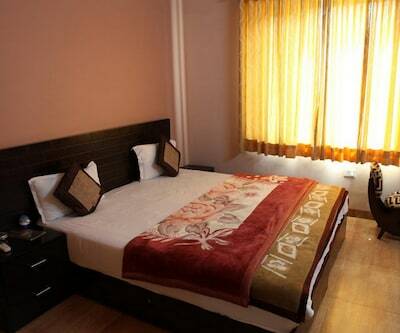 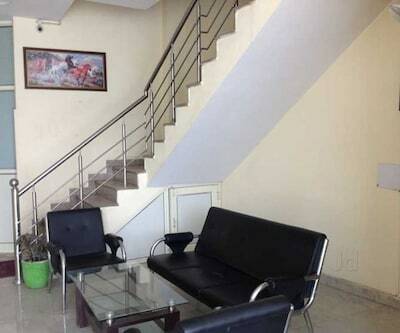 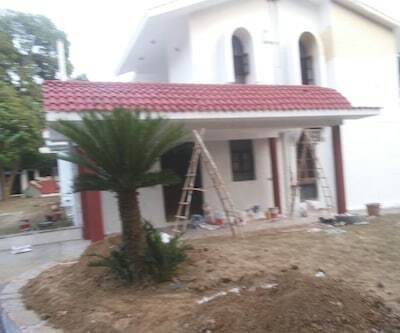 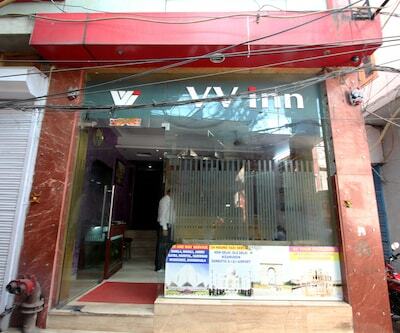 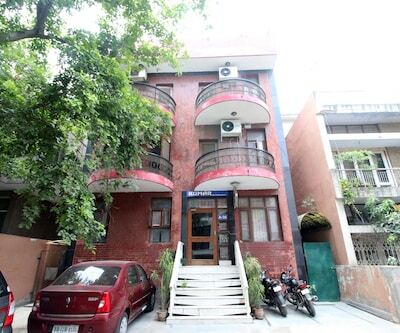 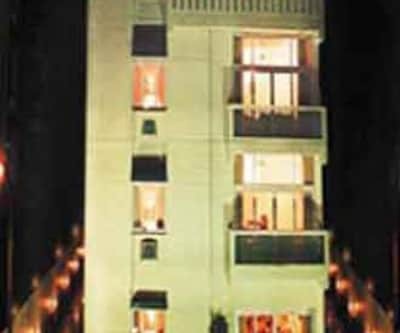 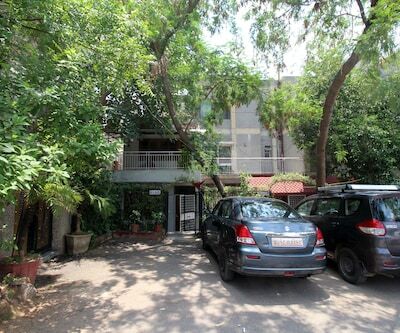 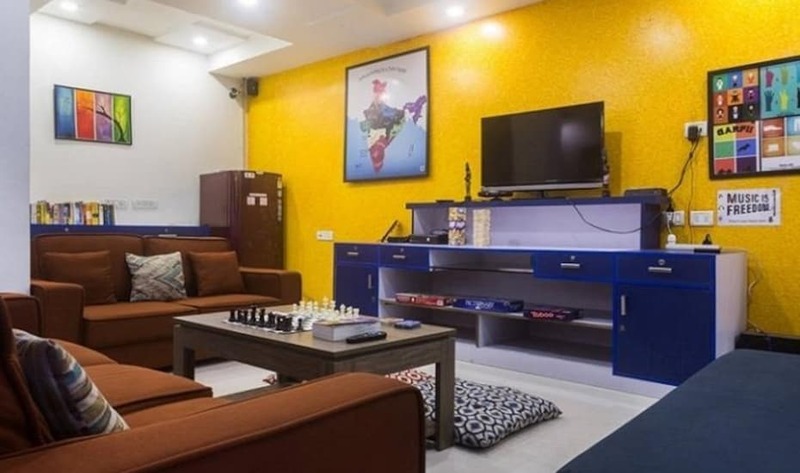 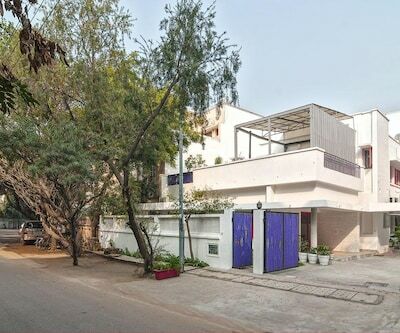 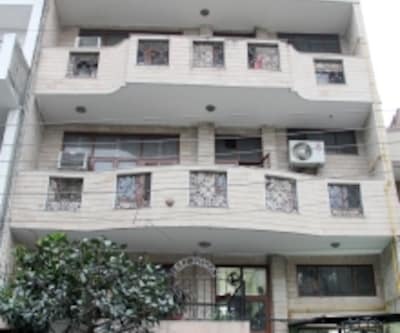 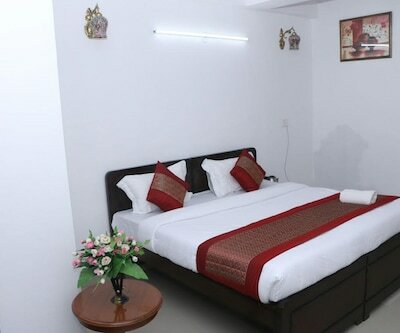 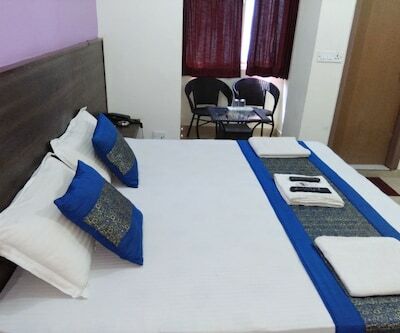 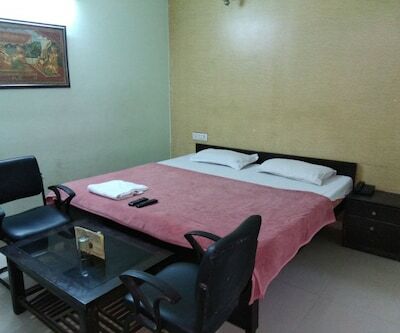 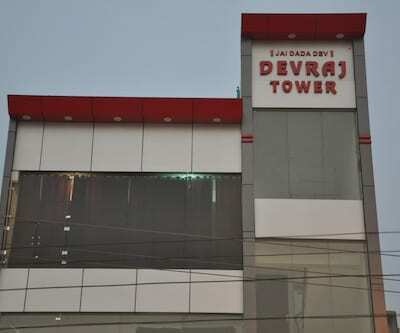 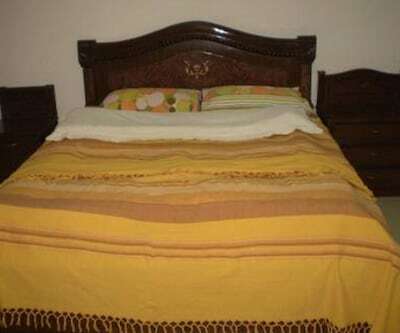 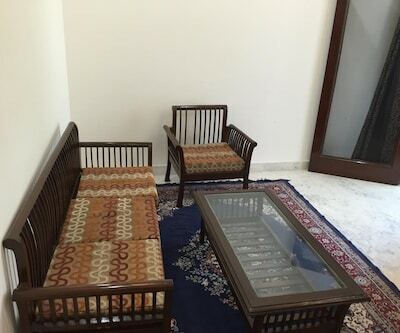 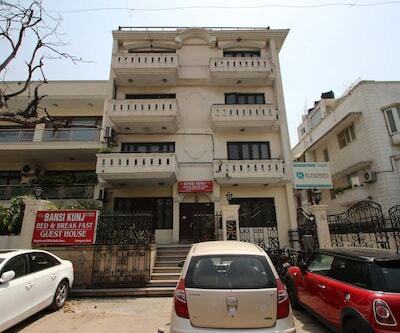 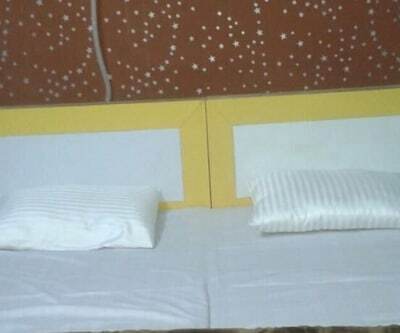 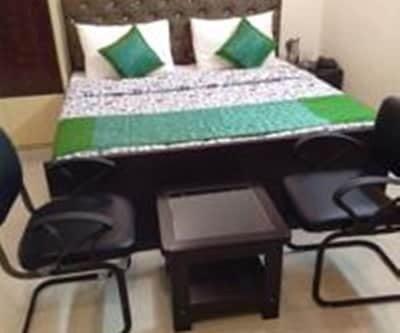 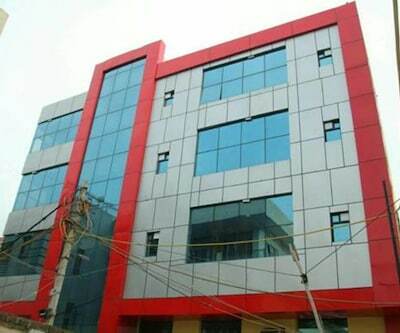 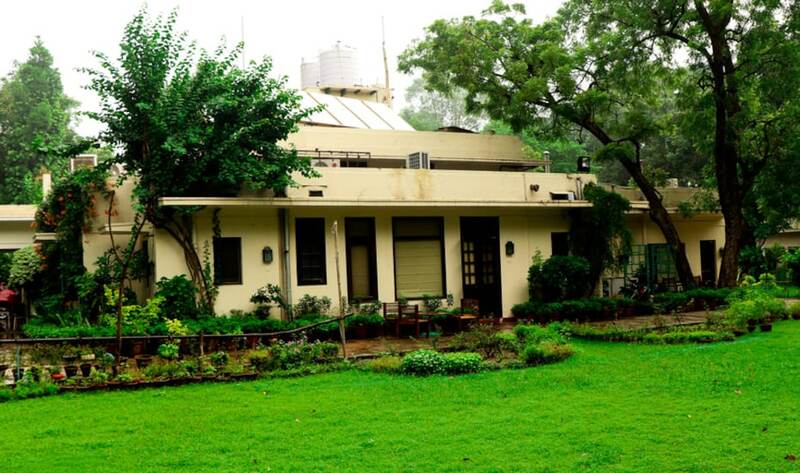 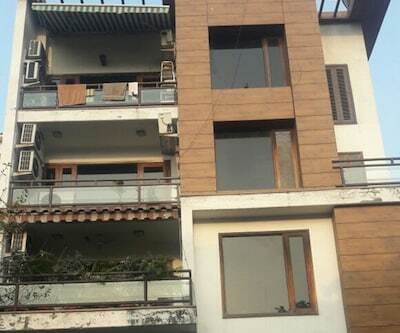 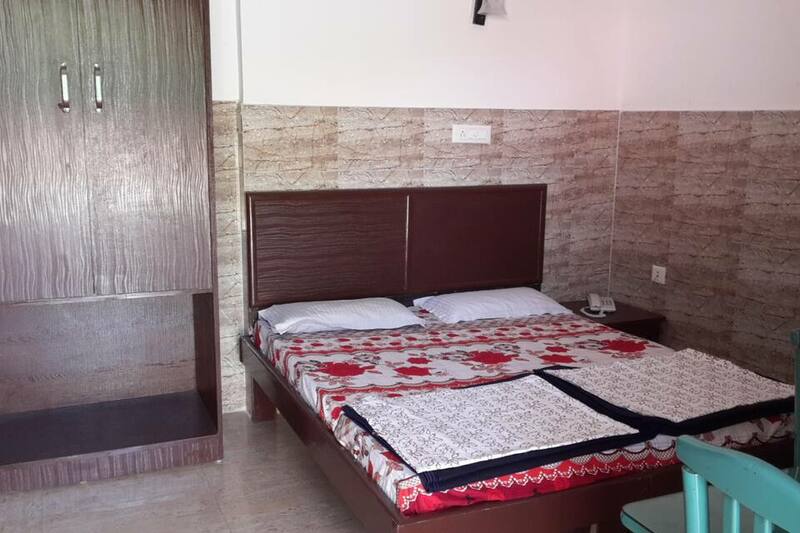 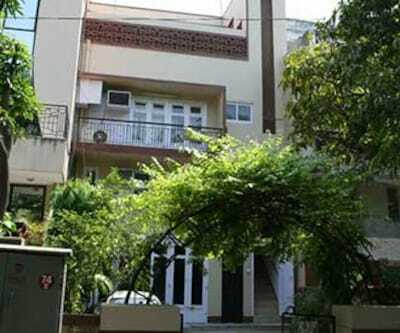 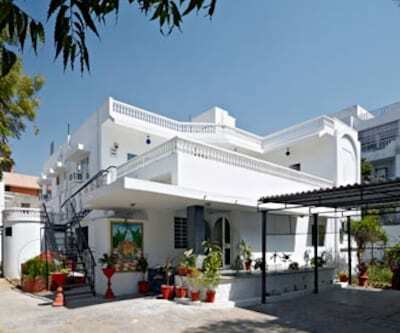 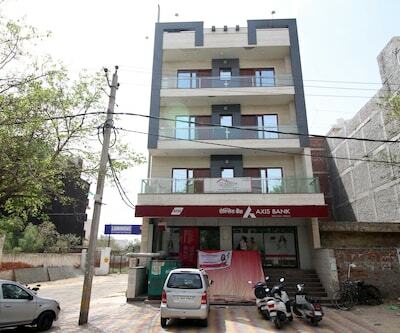 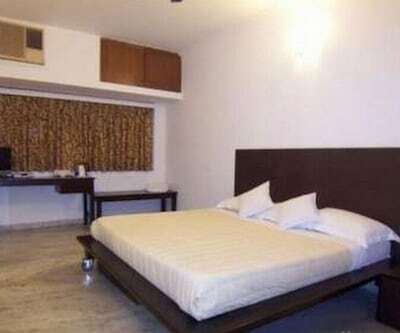 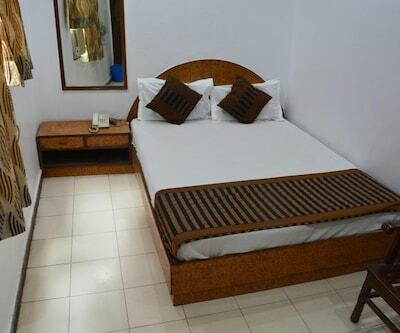 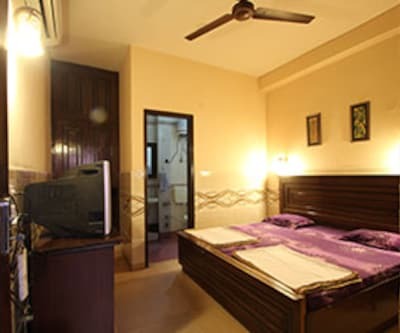 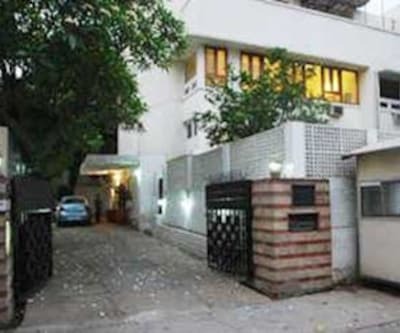 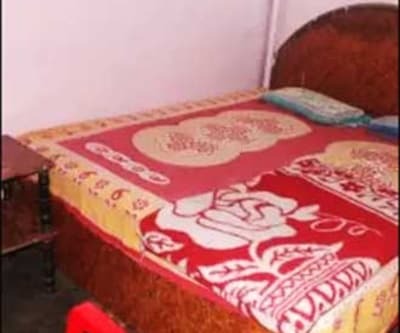 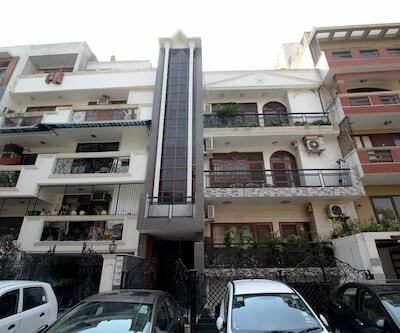 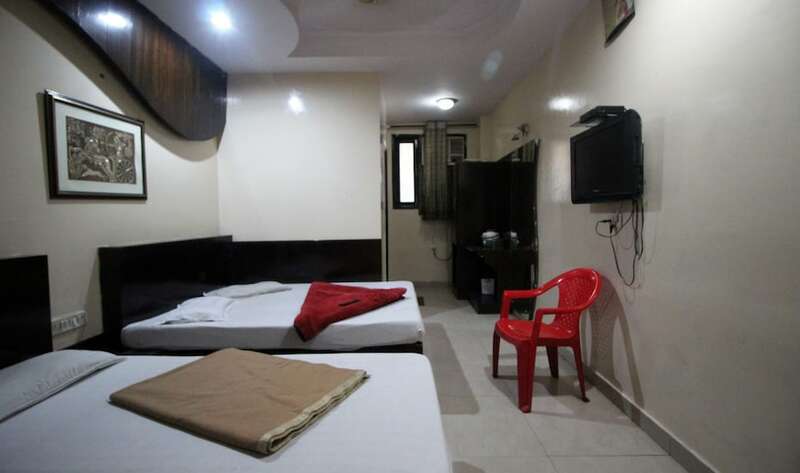 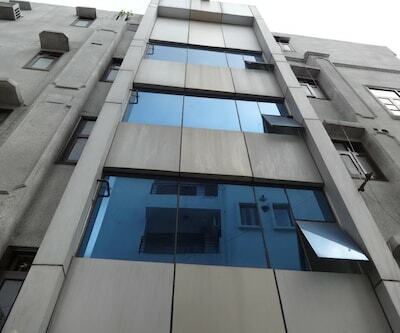 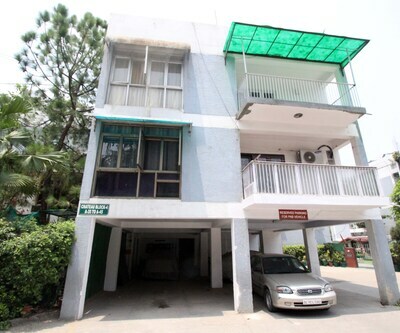 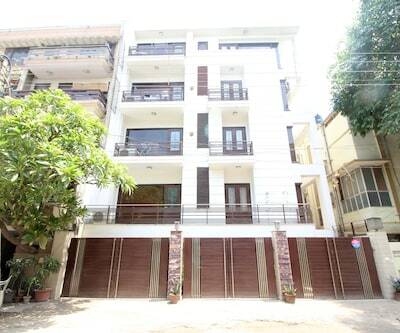 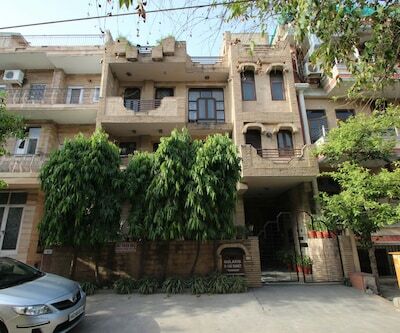 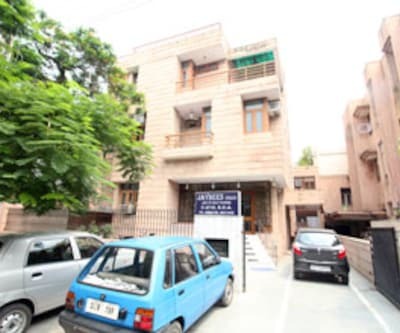 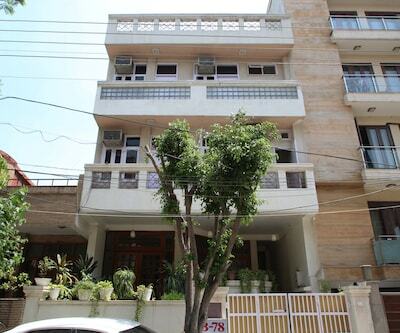 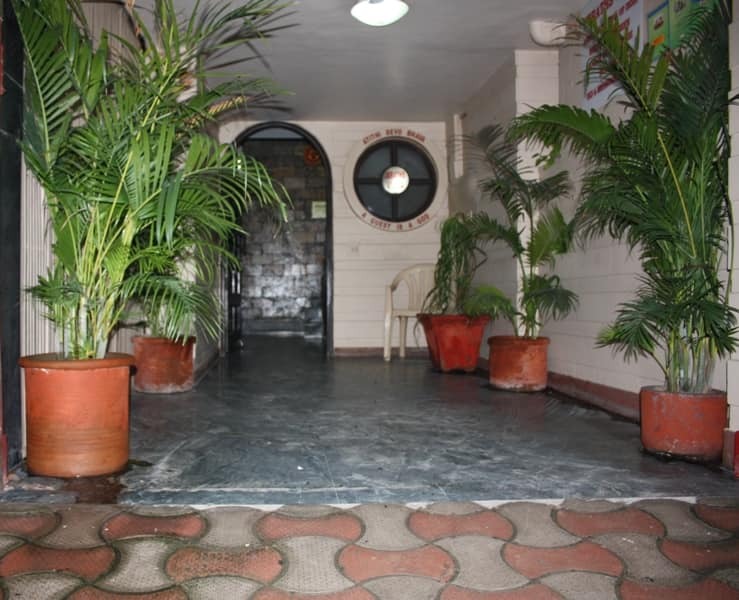 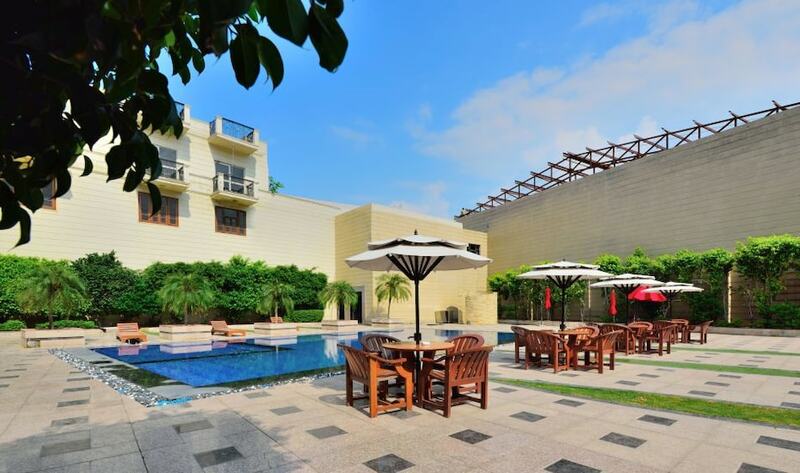 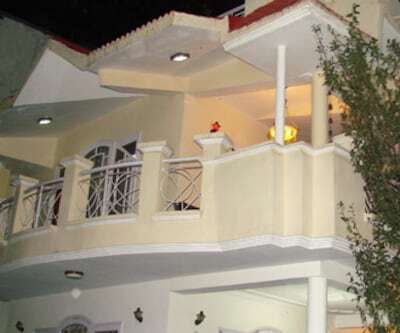 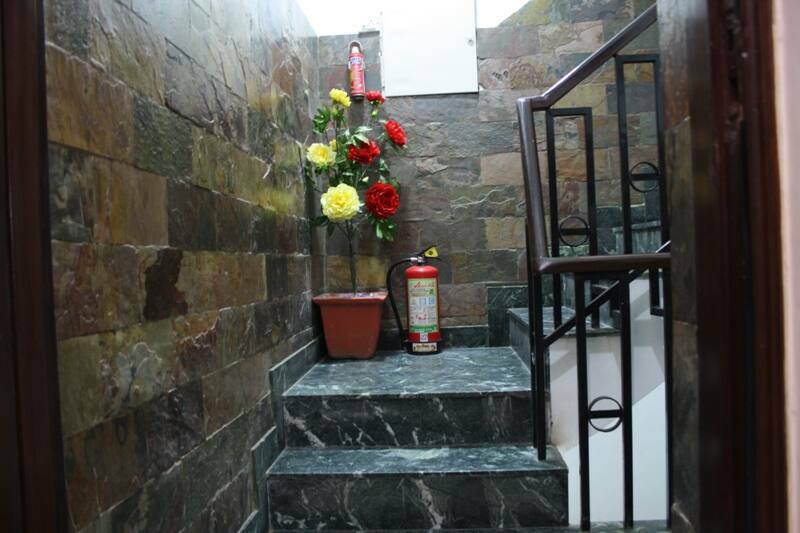 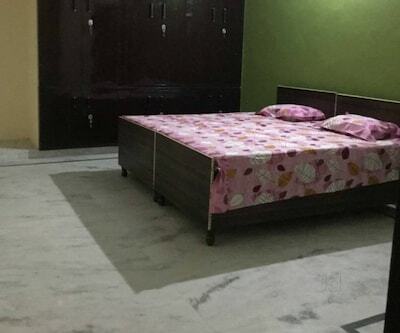 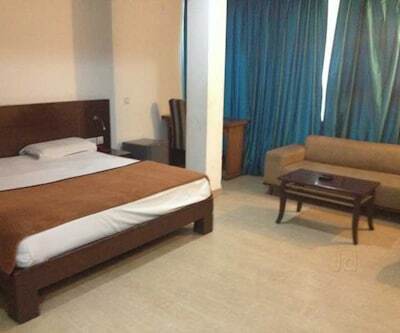 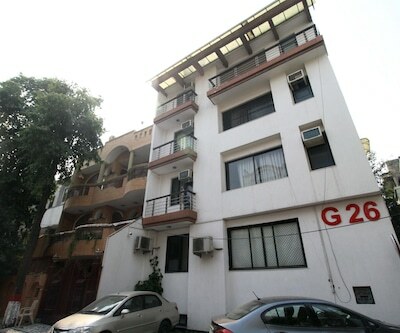 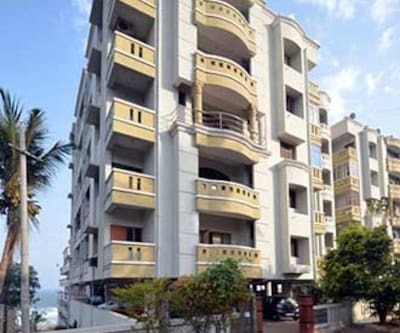 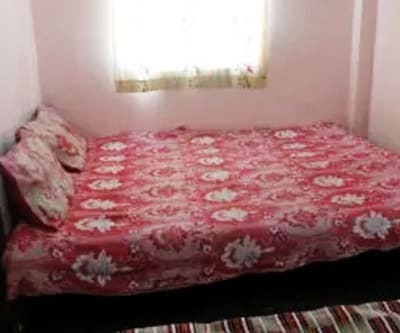 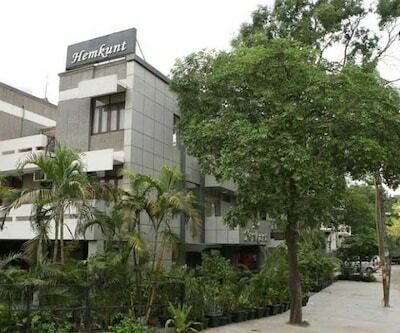 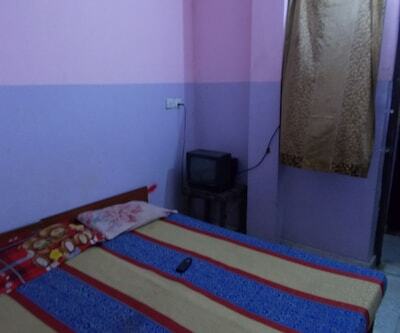 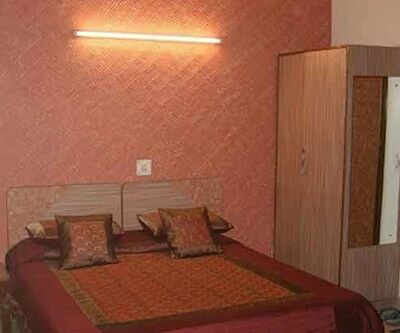 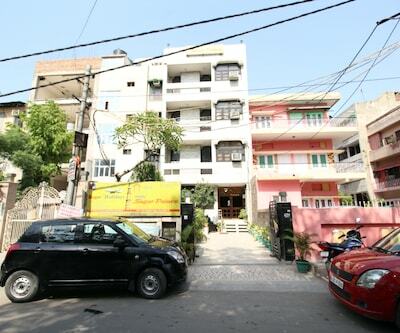 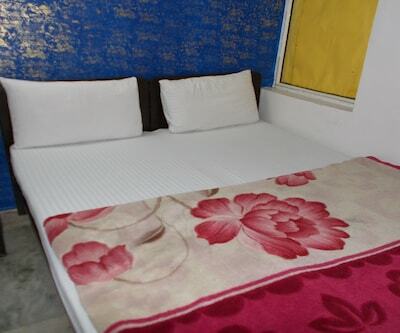 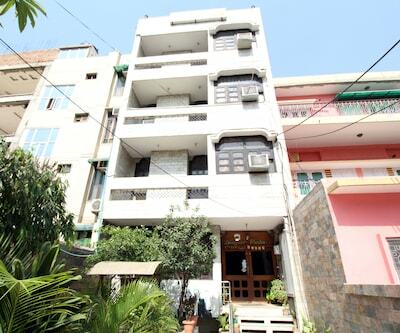 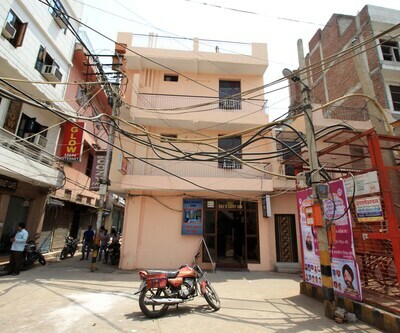 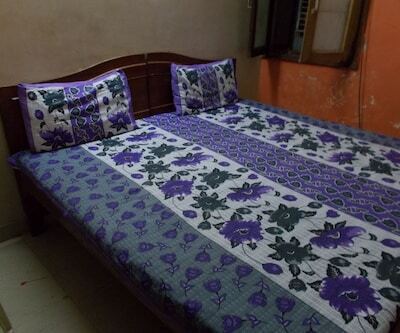 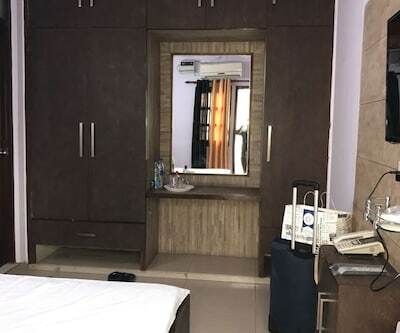 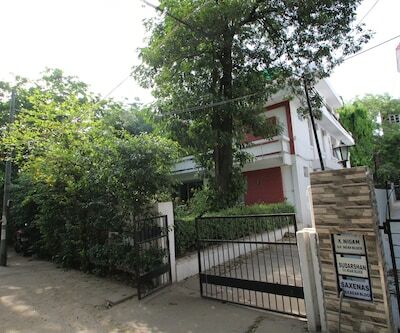 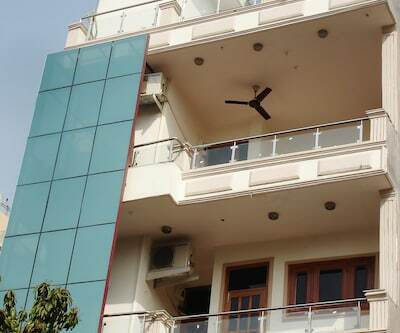 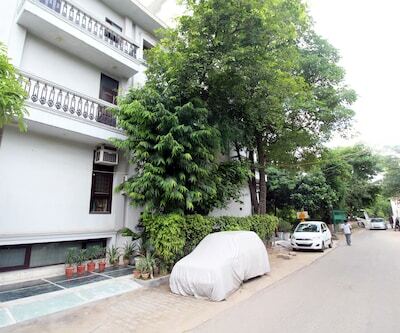 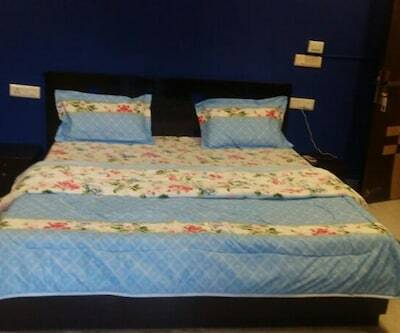 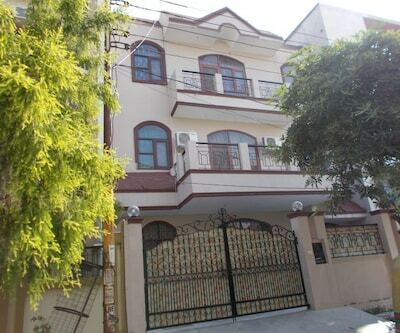 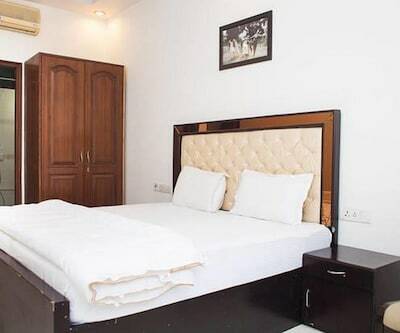 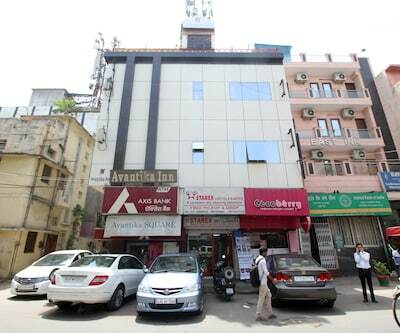 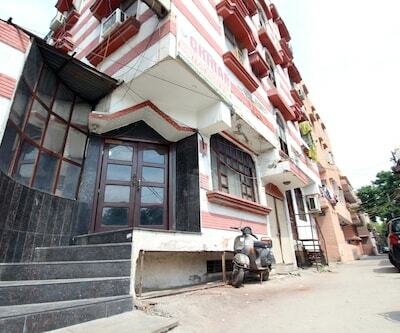 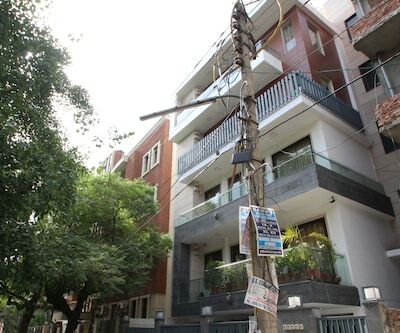 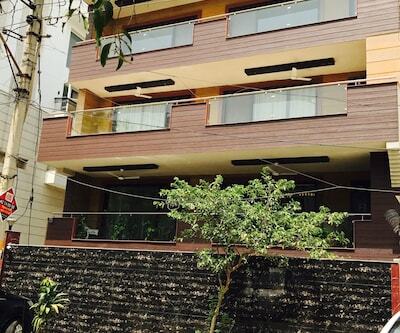 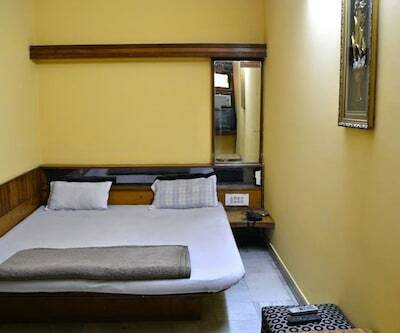 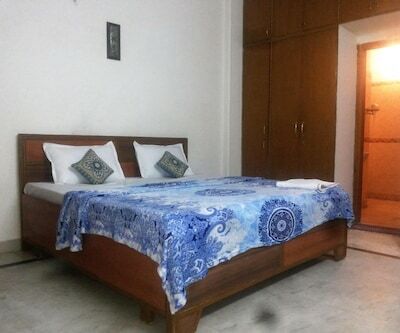 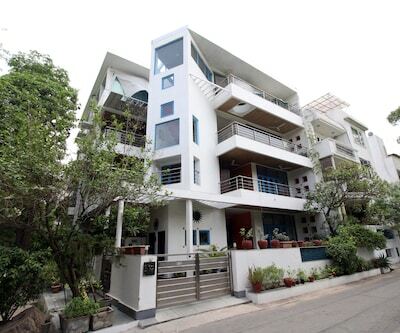 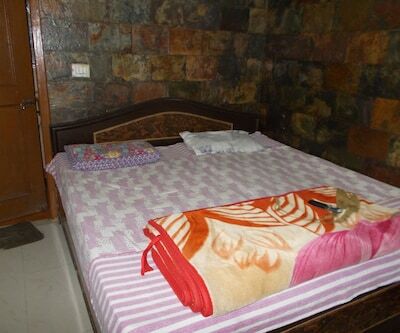 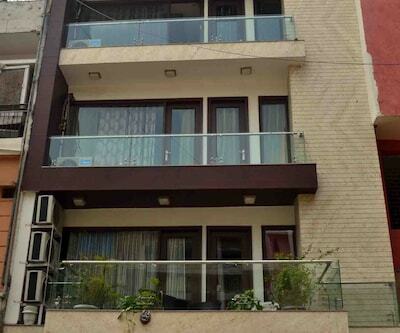 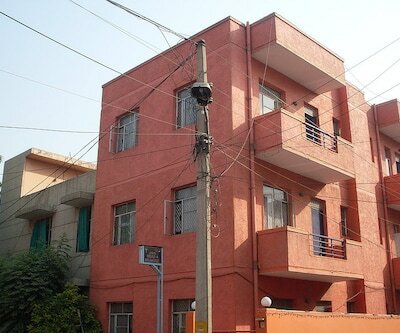 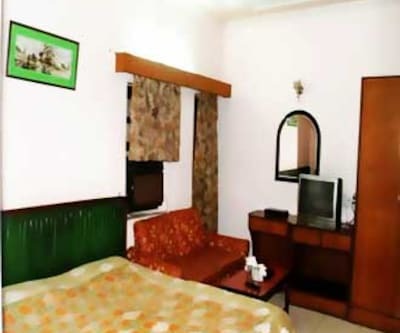 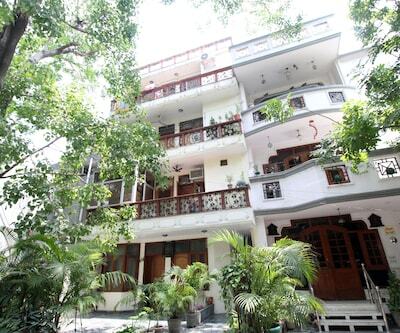 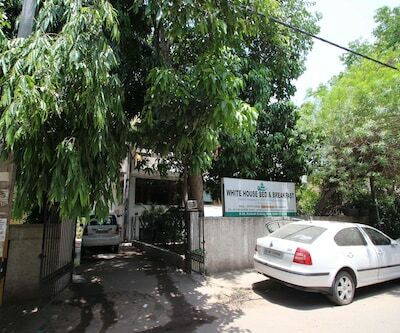 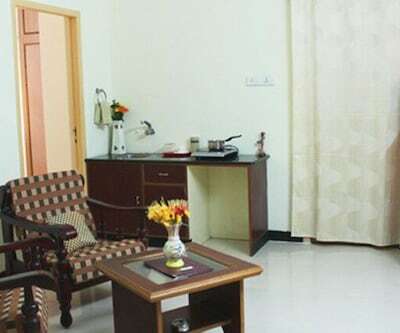 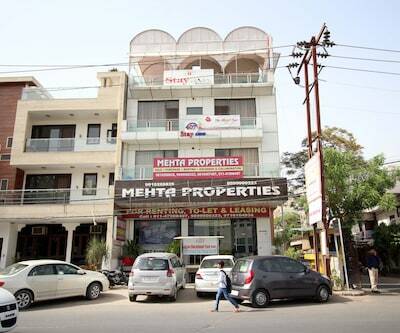 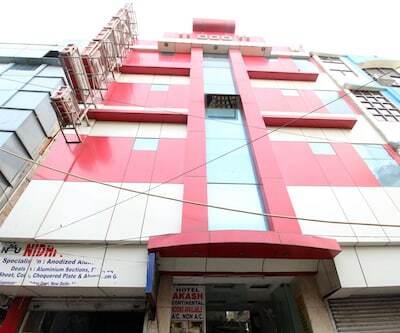 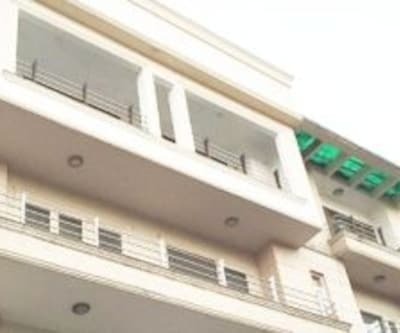 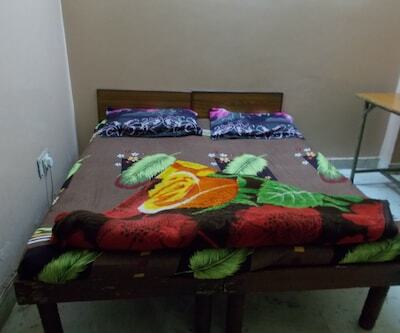 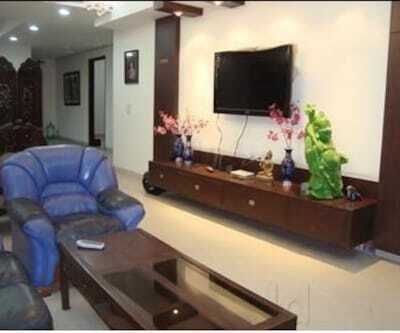 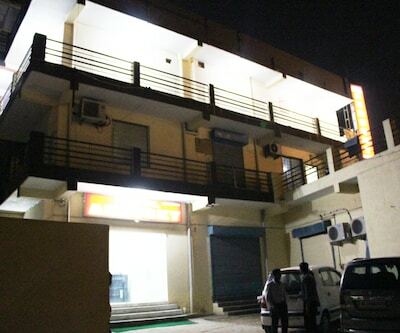 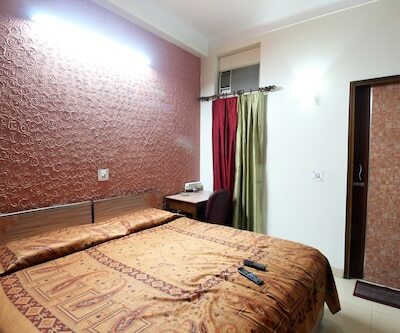 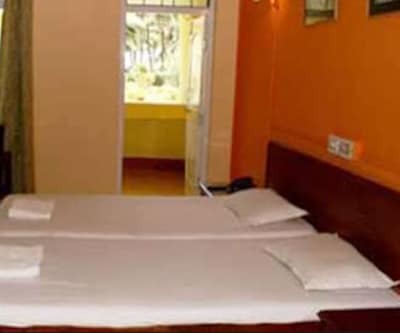 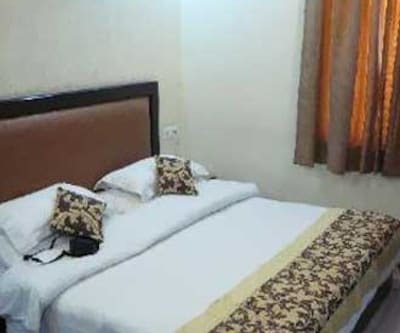 It also provides a 24-hour power backup and has a conference hall.Jeraths Villa is accessible from the Indira Gandhi International Airport (9 km) and the Uttam Nagar Bus Stand (19 km). 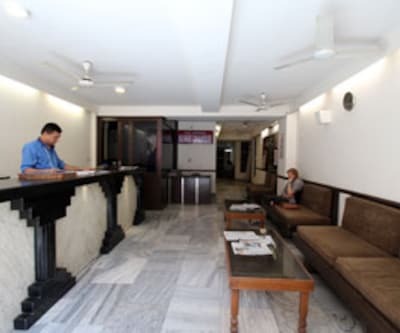 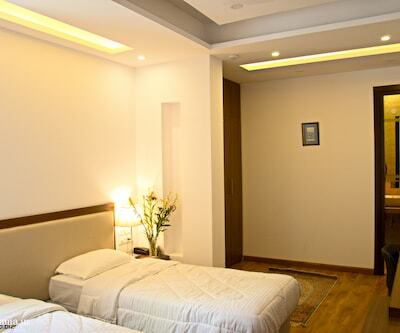 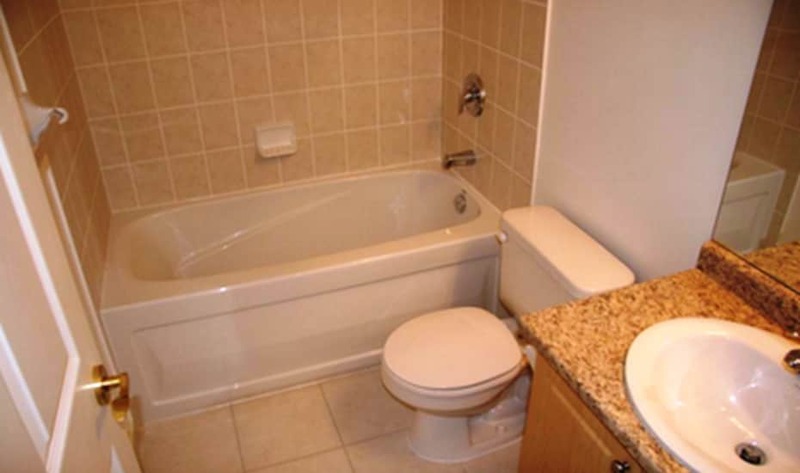 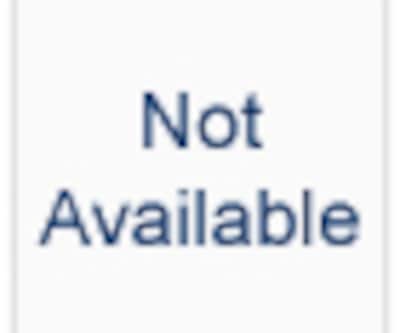 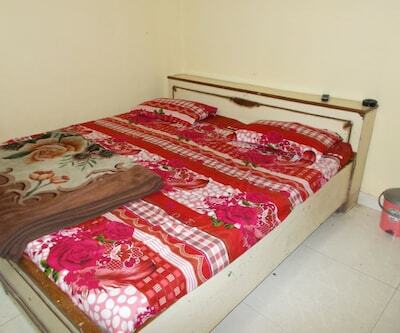 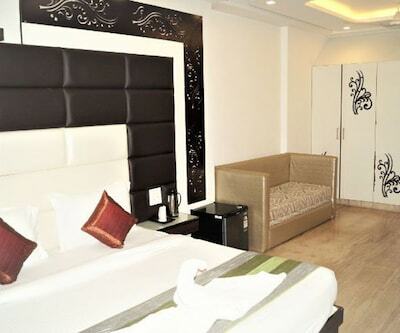 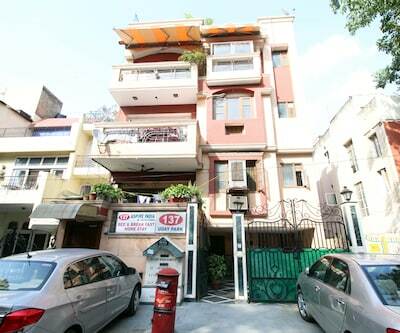 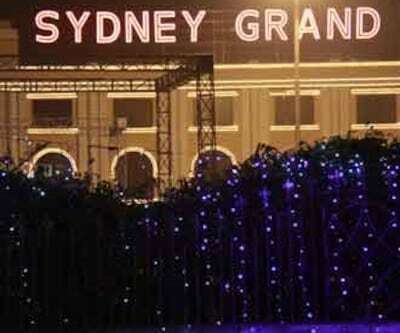 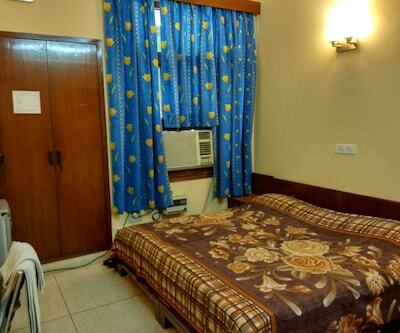 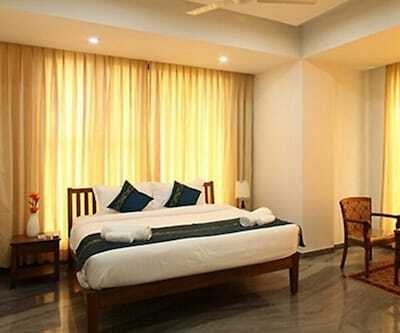 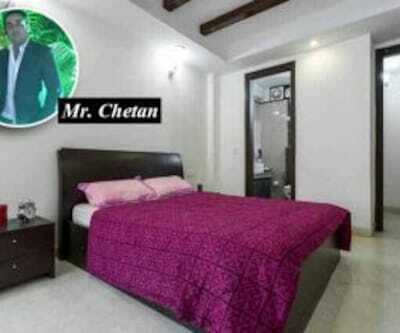 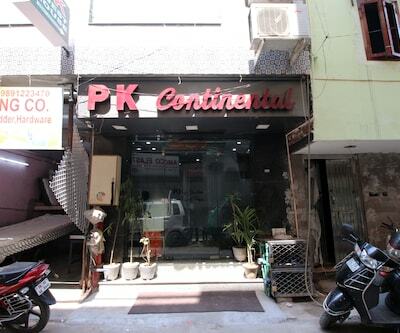 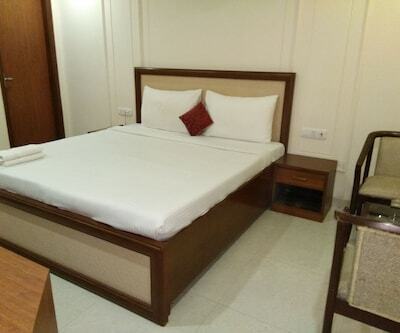 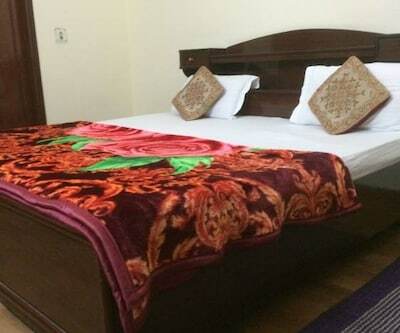 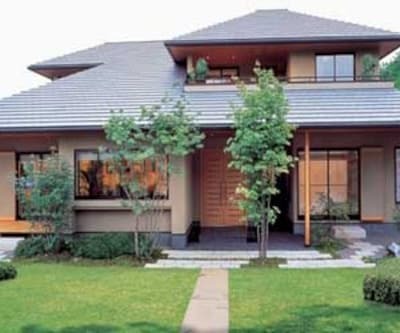 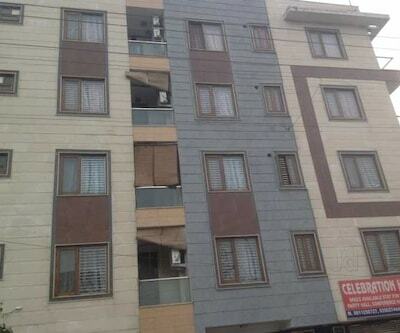 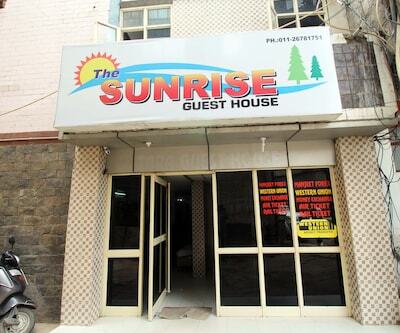 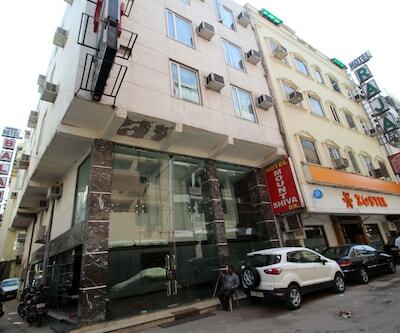 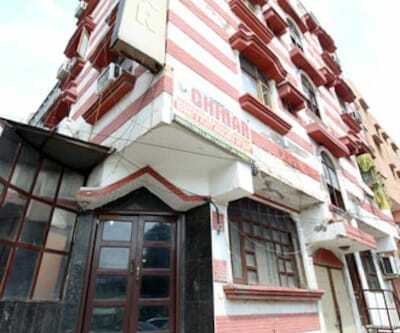 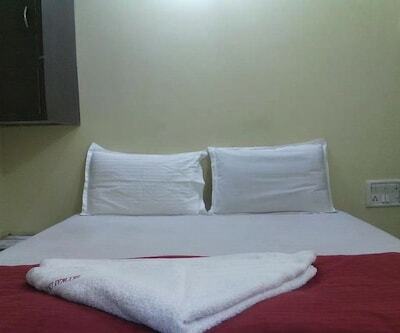 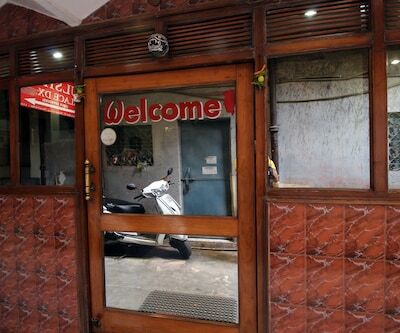 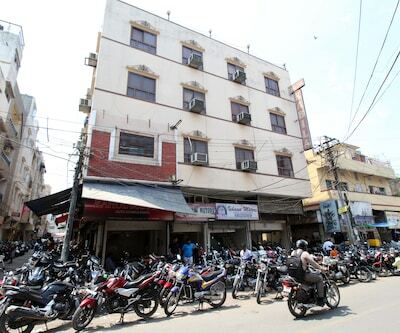 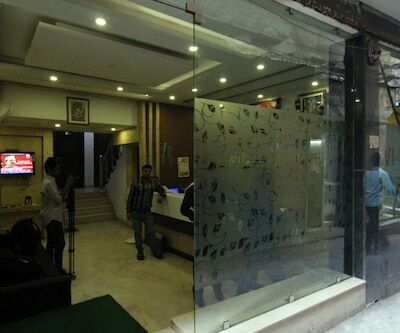 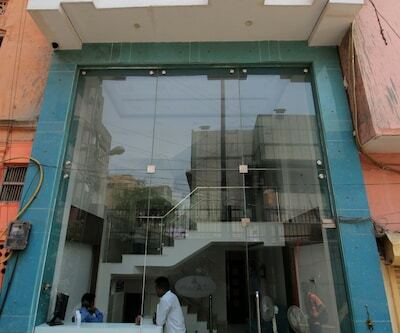 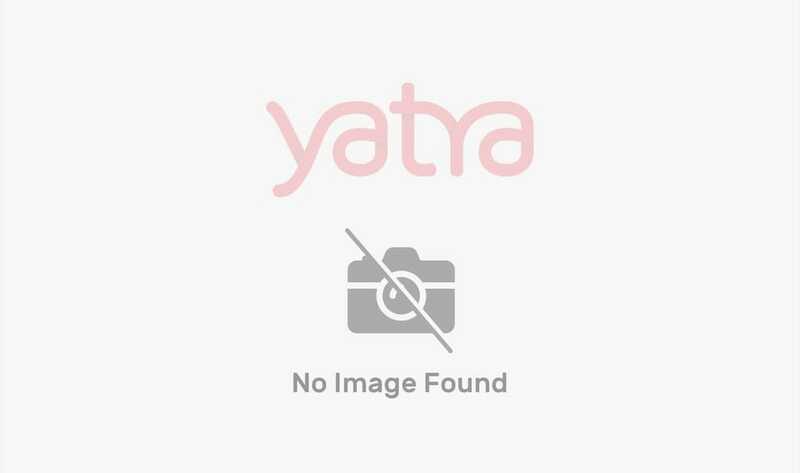 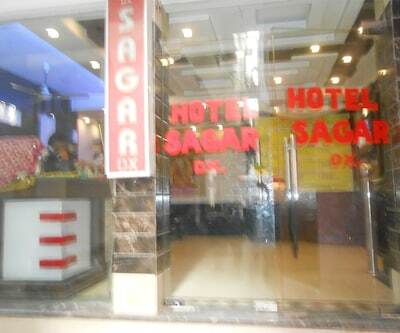 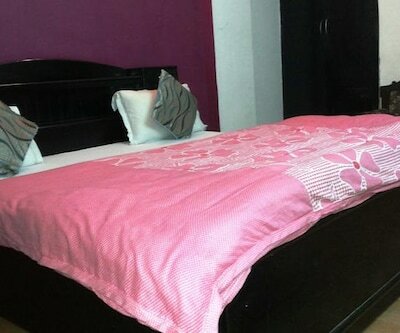 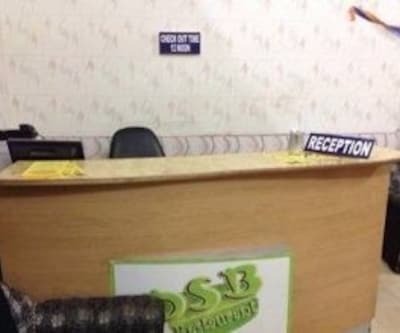 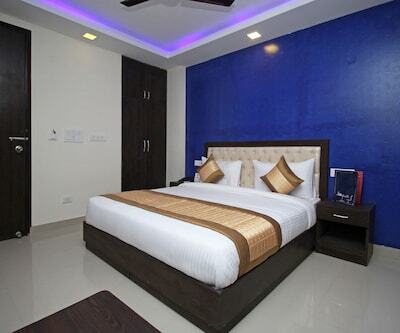 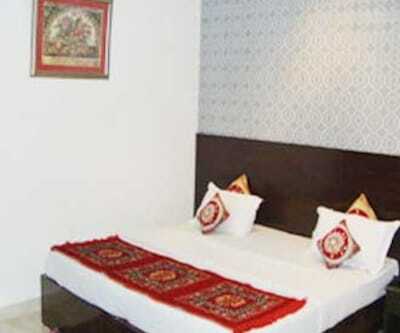 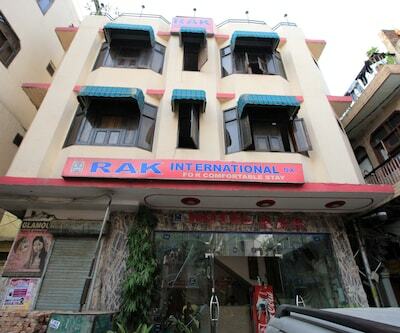 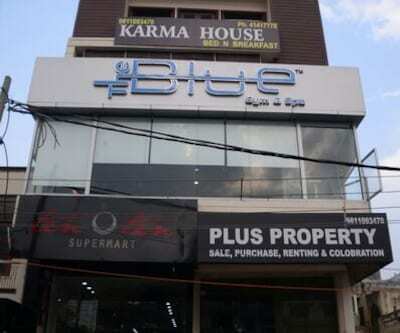 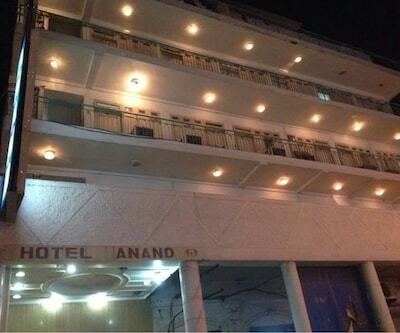 It provides travel desk facility along with car-rental facility. 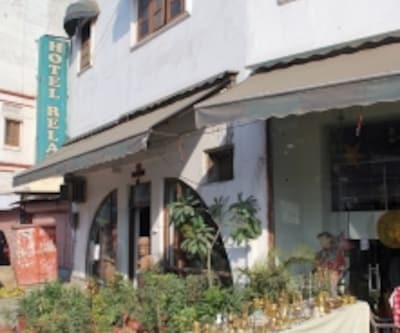 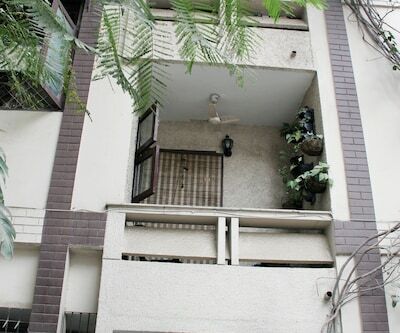 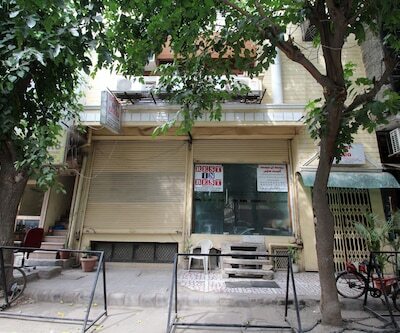 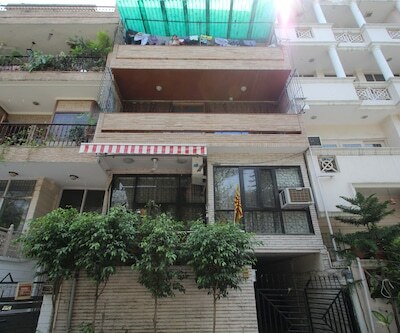 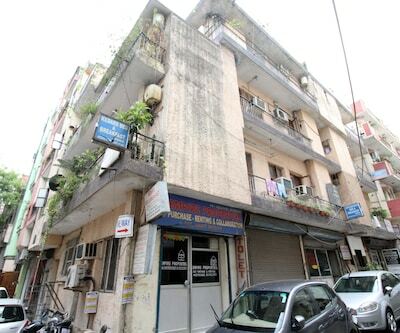 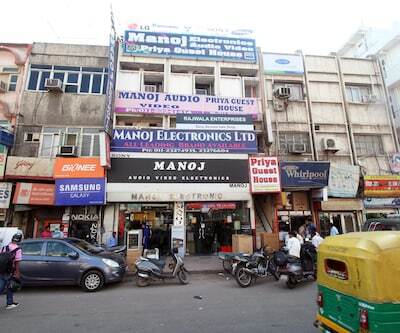 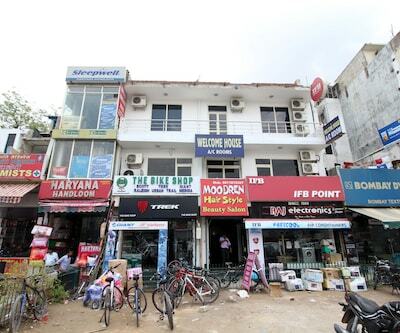 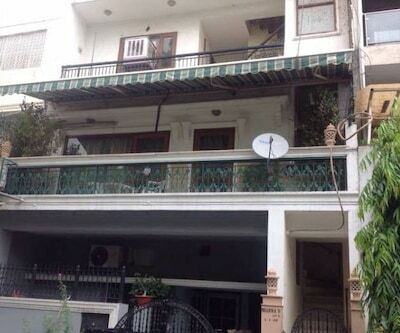 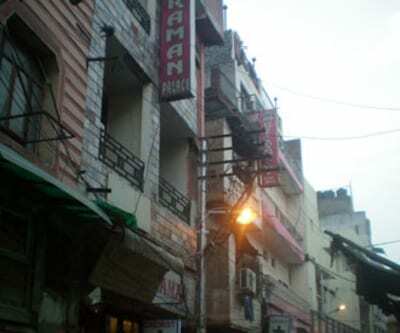 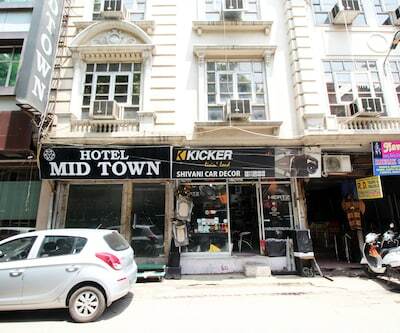 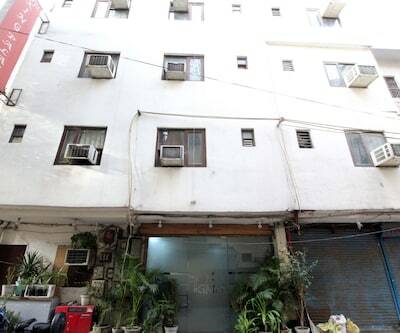 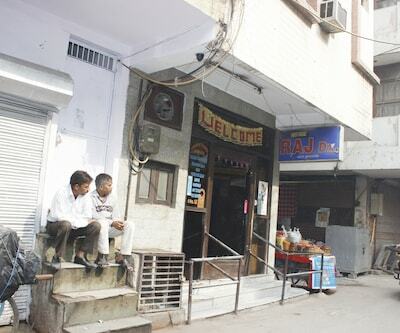 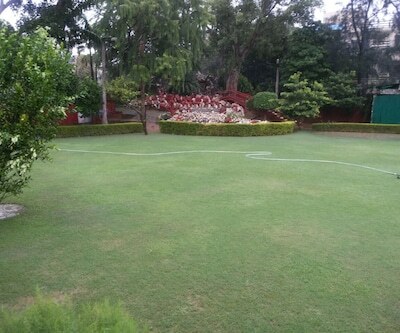 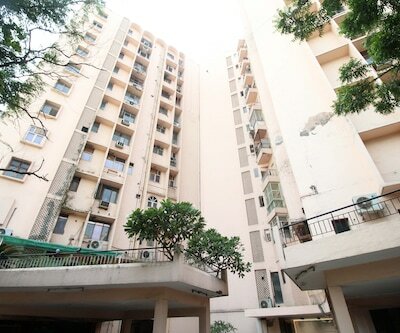 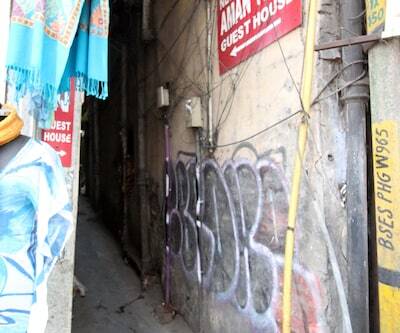 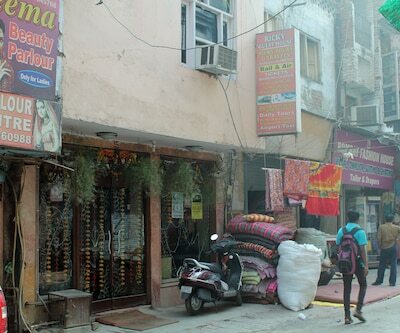 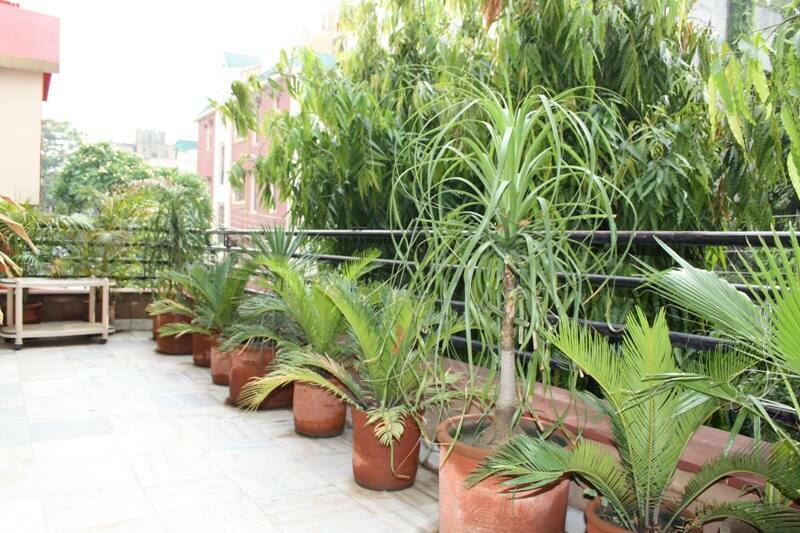 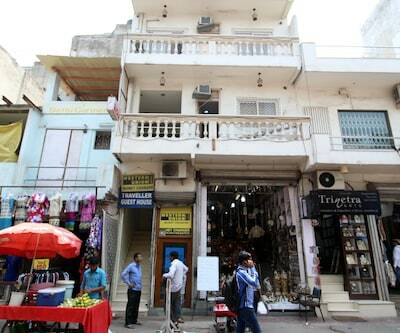 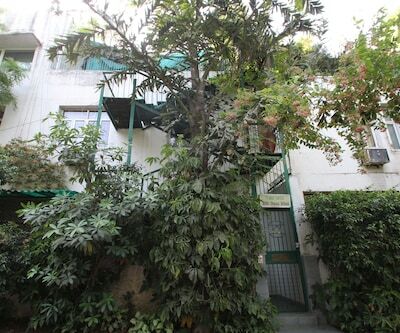 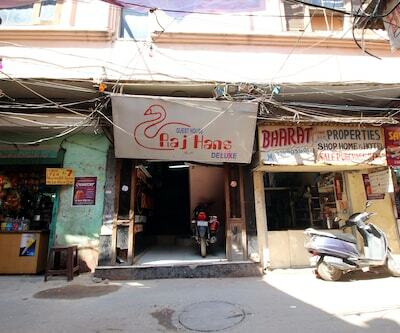 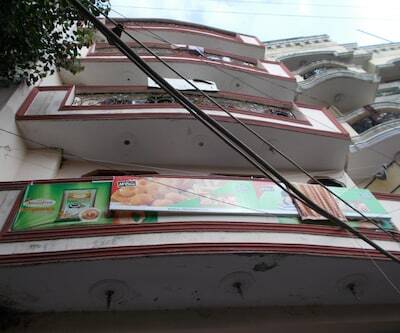 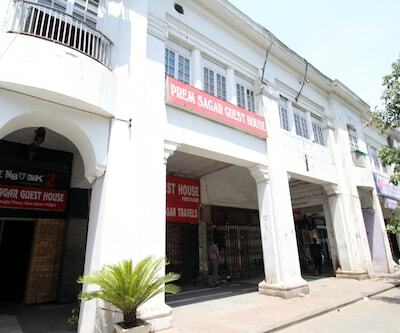 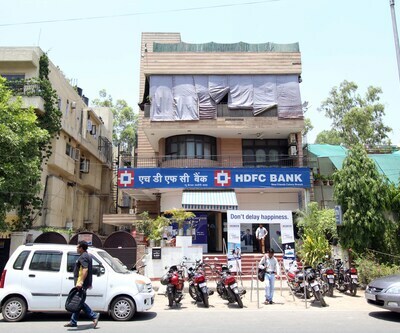 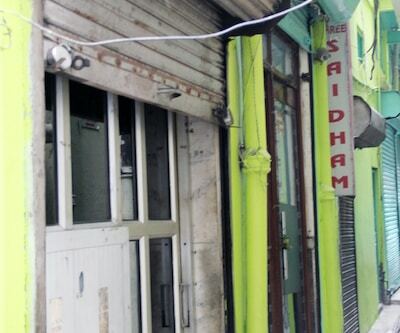 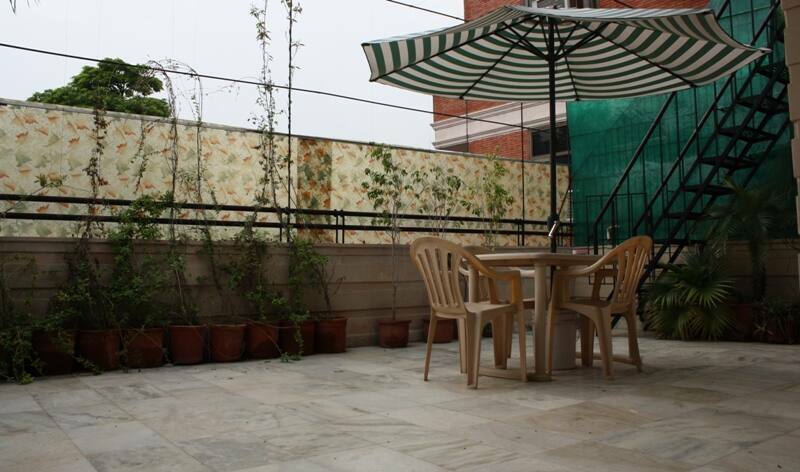 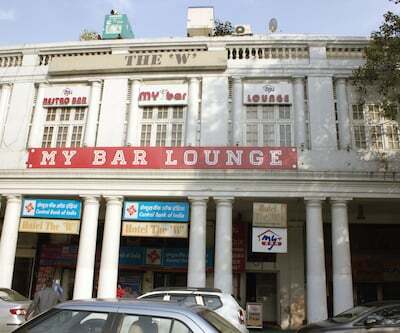 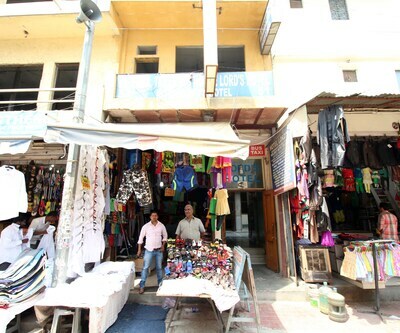 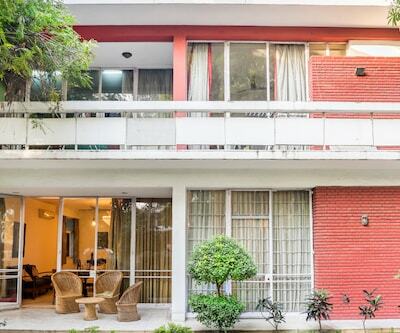 Few tourist spots that guests can visit are the Delhi Lawn Tennis Association (3 km), the Green Park Market (2 km), and the Sarojini Nagar Market (3 km).